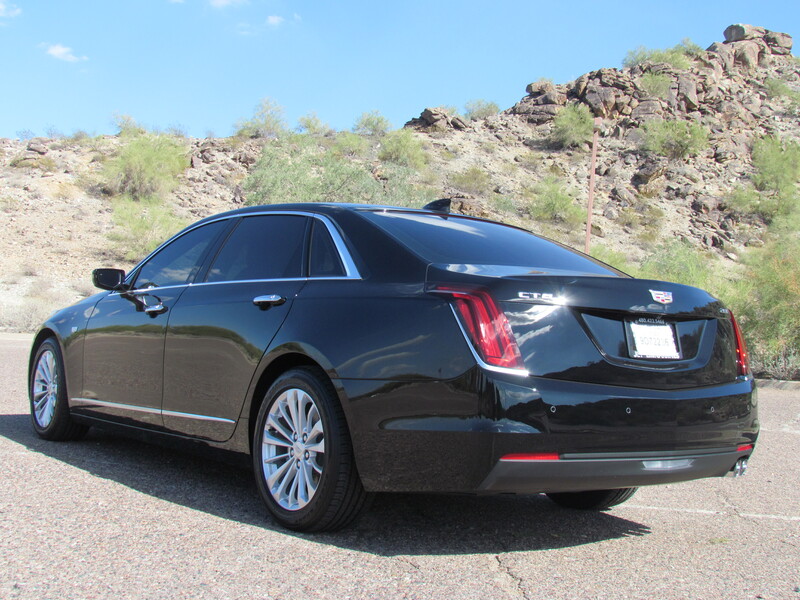 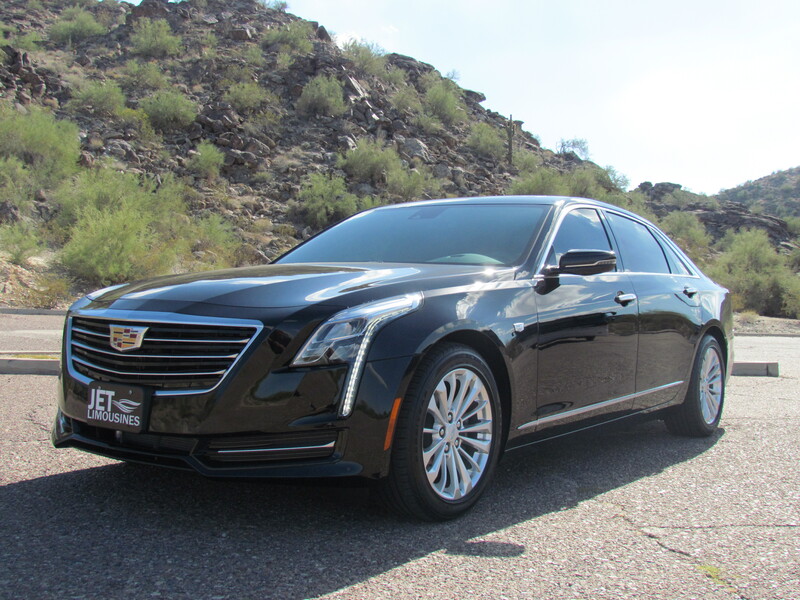 The all new 2018 Cadillac CT6 sedan is all new and JET is the only valley in the company to offer this extraordinary vehicle. 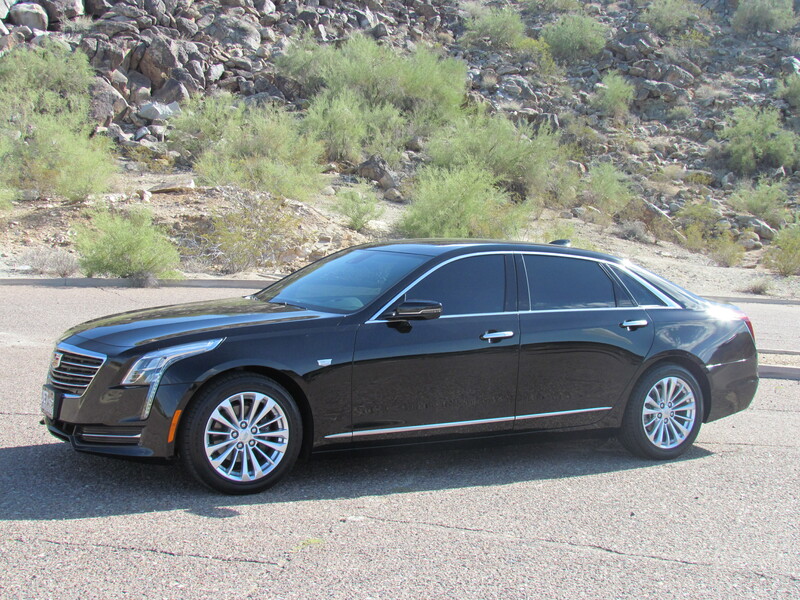 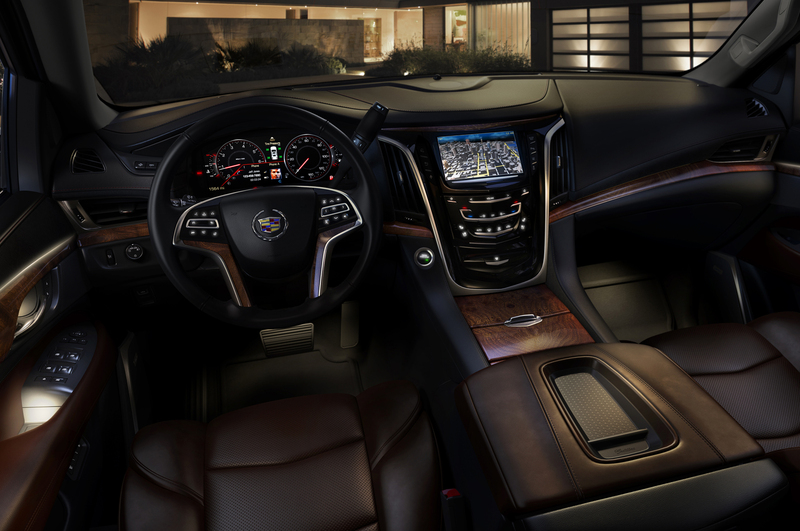 The CT6 features exotic LED lighting, extended passenger legroom, rear pano-glass roof, Bluetooth audio, weather and traffic notifications, XM radio, rear shades, and more. 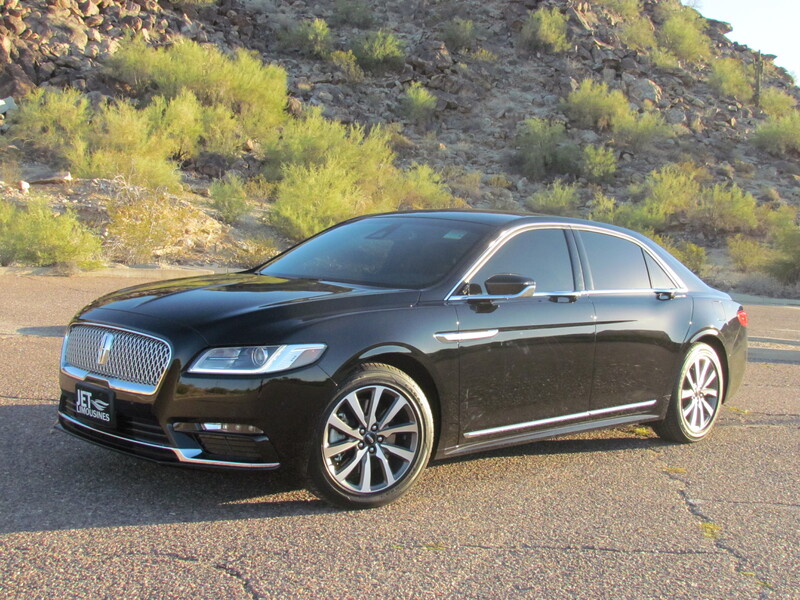 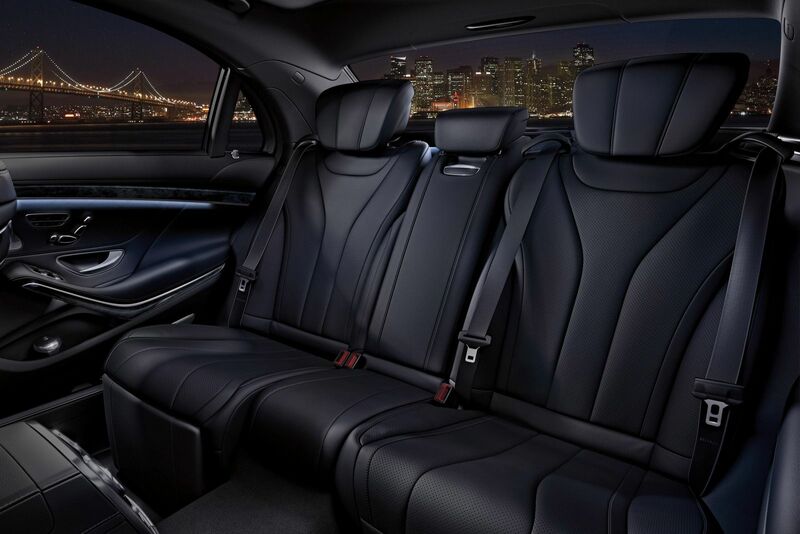 JET is proud to be one of few to offer the all new 2018 Lincoln Continental sedan. 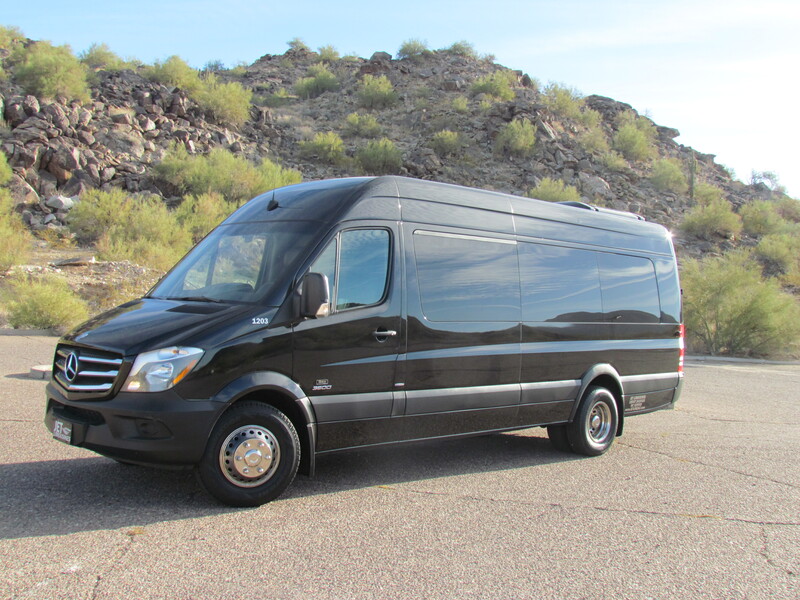 This long awaited vehicle is in a superior class of its own. 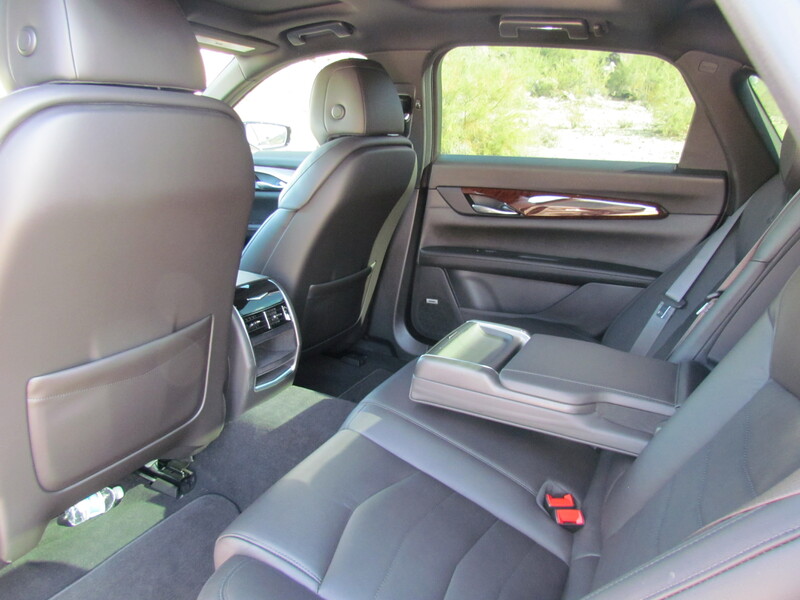 The interior features reclining rear seats, rear audio and climate controls, rear heated and air conditioned seats, privacy shades, Bluetooth audio, Apple Play, extra legroom, and so much more. 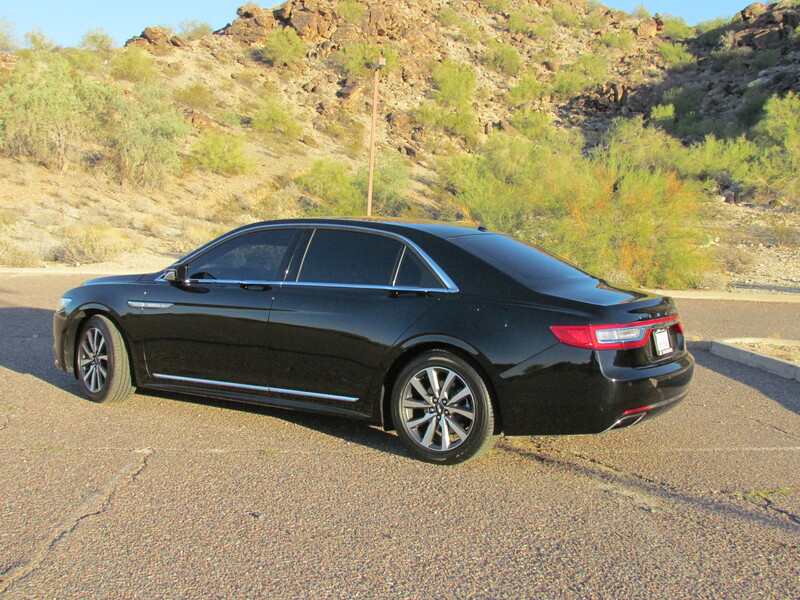 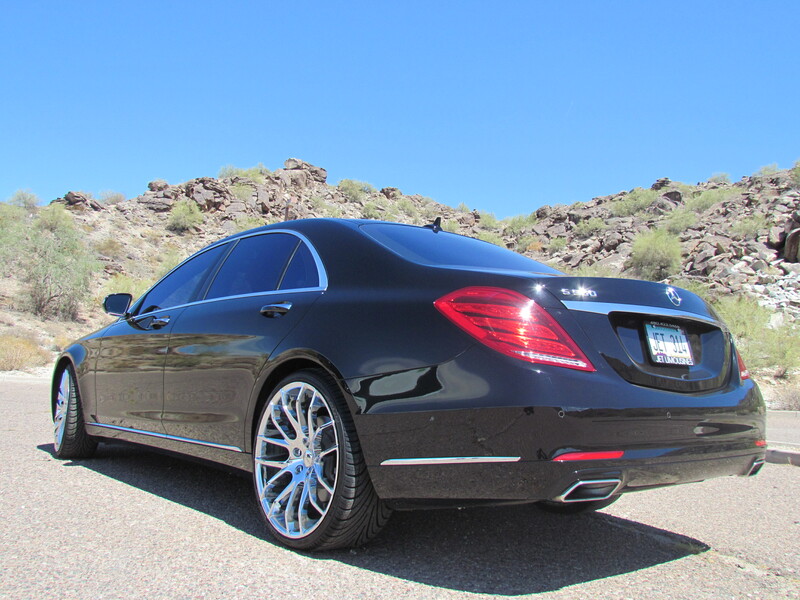 The all new Mercedes S550 AMG is one of few in the valley. 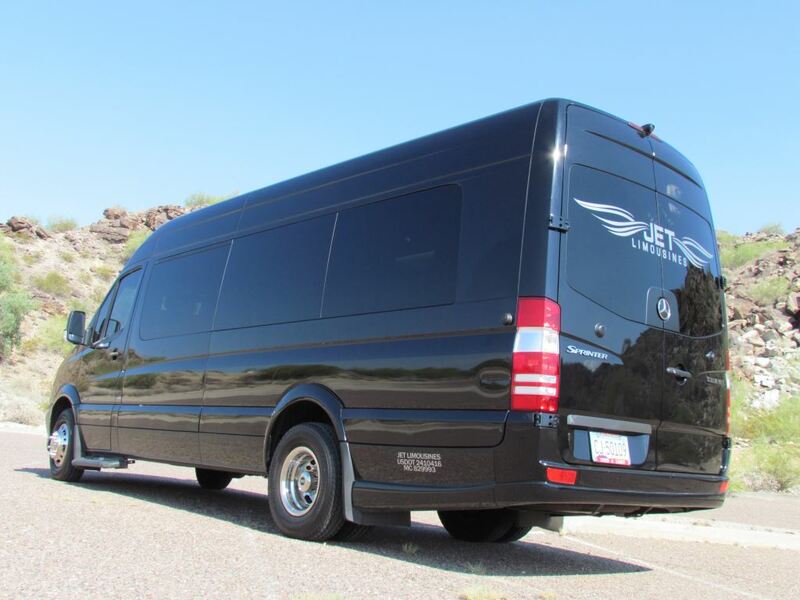 The exterior is a sleek black finish with custom 22″ chrome wheels. 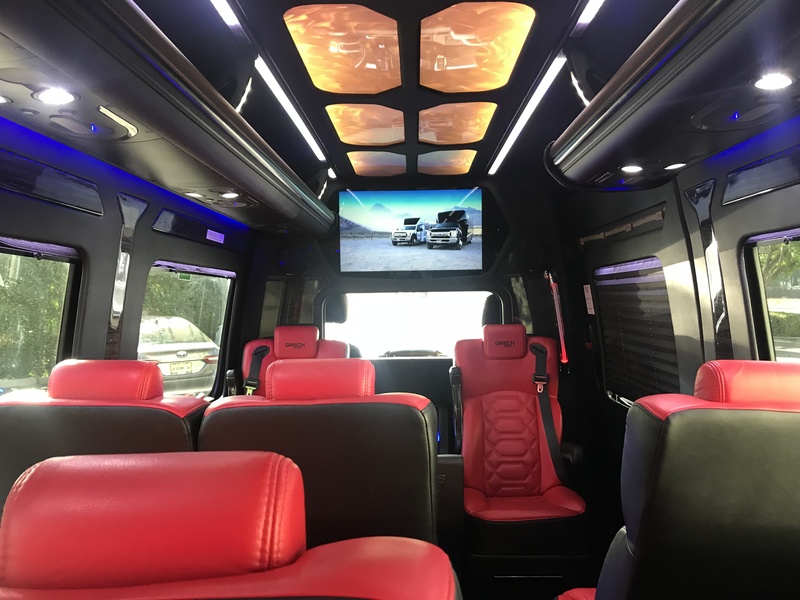 The interior features pano glass ceiling, heated and cooled seats, massaging seats, upgraded sound system with Bluetooth audio, navigation, accent lighting, rear shades, and more. 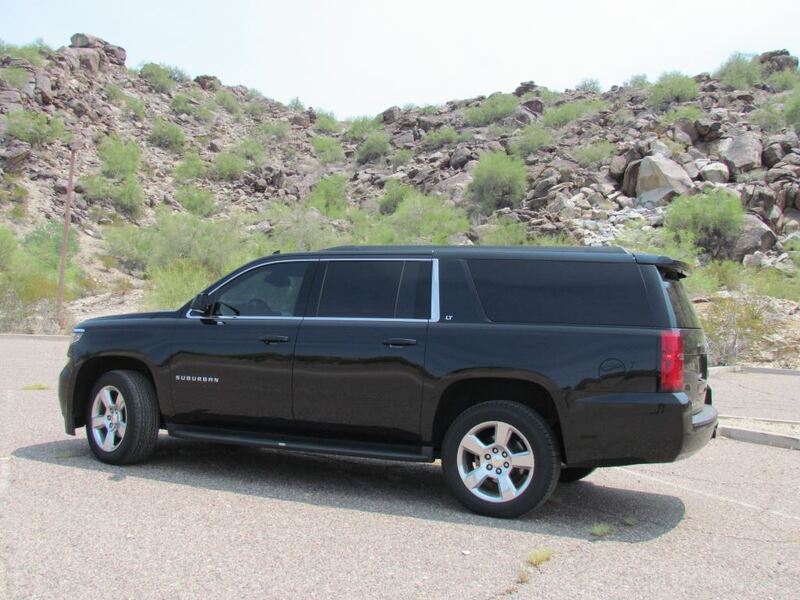 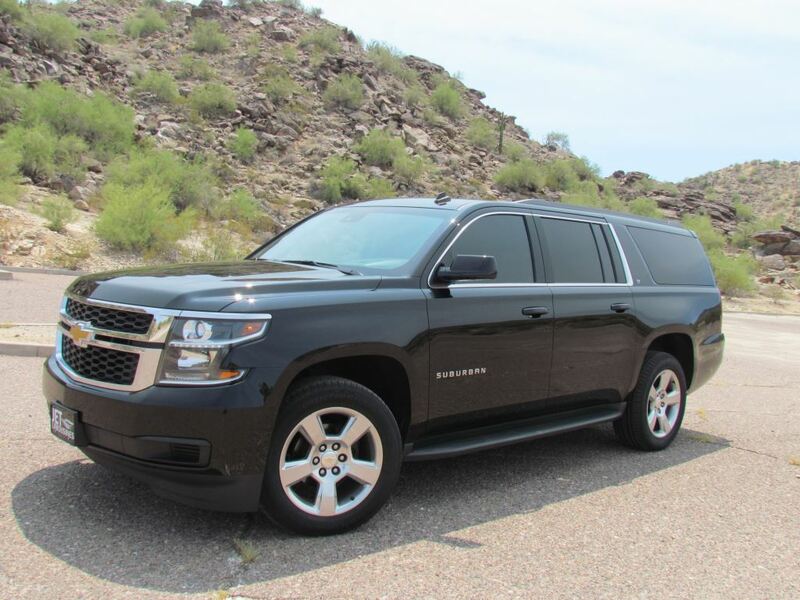 Virtually all-new, the 2015 Chevrolet Suburban features a more upscale interior and new styling, more standard and available infotainment, connectivity, and safety. 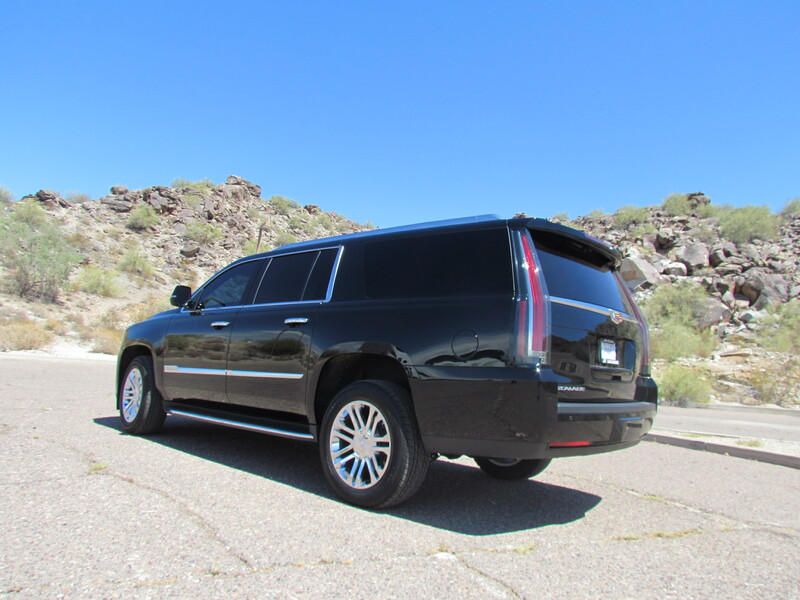 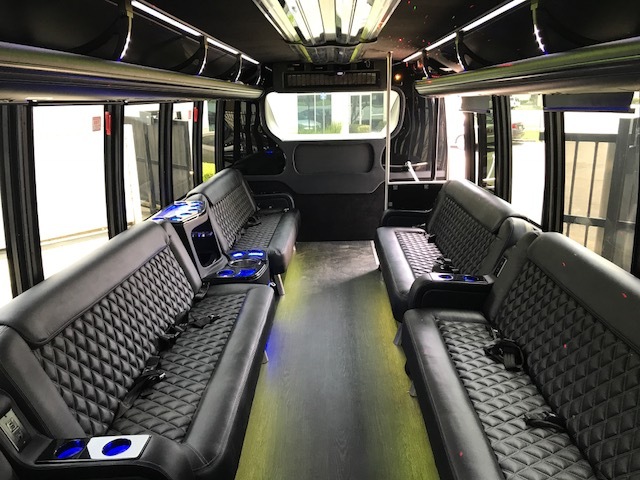 The Suburbans feature a black exterior, upgraded wheels and tires, black leather interior, navigation, upgraded sound system with Bluetooth and XM radio, LED interior lights, and a large luggage capacity. 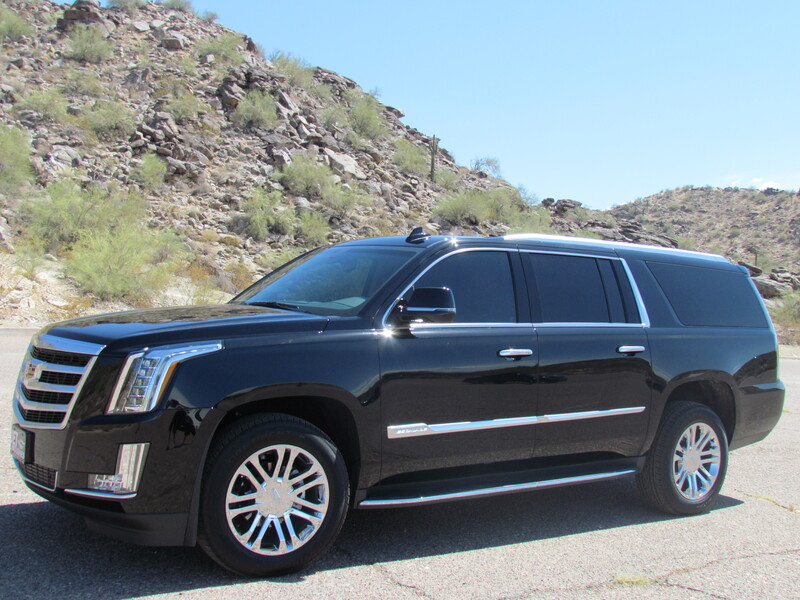 The new 2017 Cadillac Escalade ESV is one of the nicest SUV options on the road. 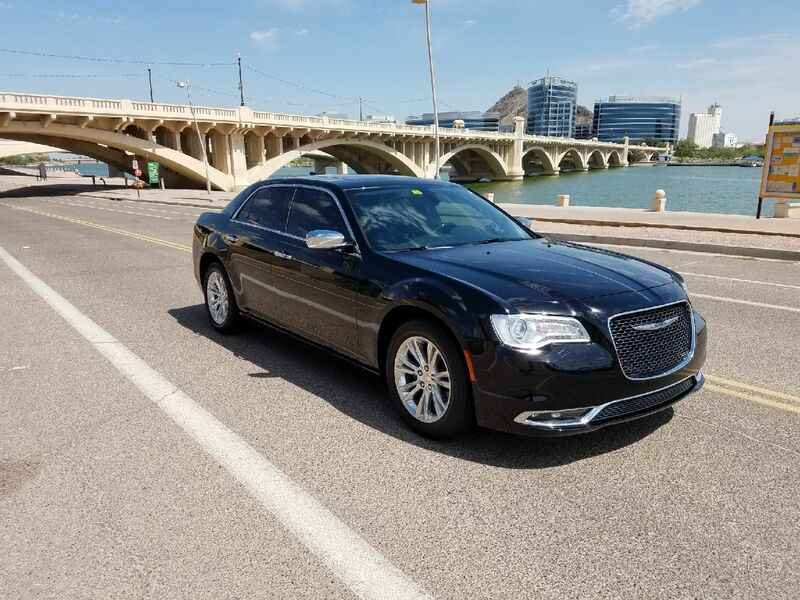 It features an all new design, chrome wheels, custom leather interior, GPS navigation, Bluetooth audio, heated and cooled seats, rear audio and climate controls, middle bucket seats, power folding third row seat, and much more! 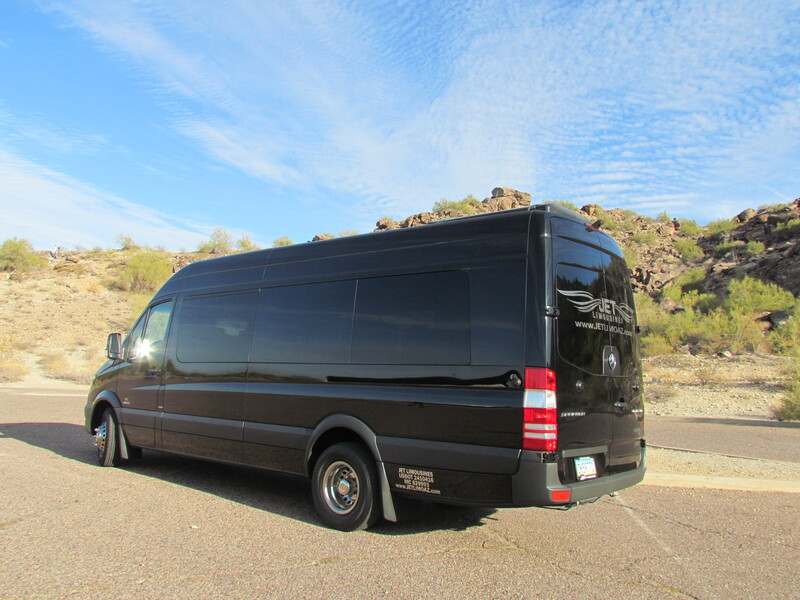 Our Mercedes Sprinter vans are a luxurious choice for transporting a smaller sized group. 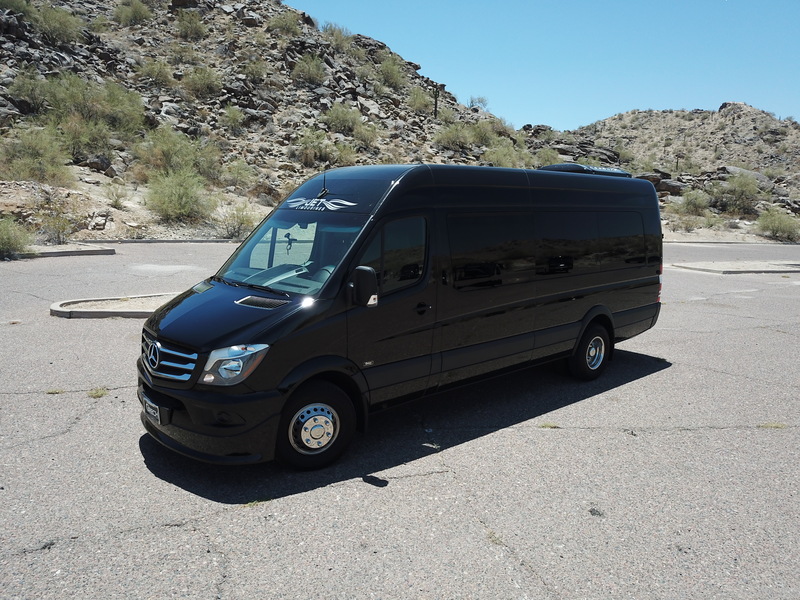 With dark tinted windows, a luxurious leather interiors, wood floors, 32″ flat panel TV with DVD player, and plenty of amenities to enjoy along the way, the Sprinter is the new standard in reliable and professional transportation. 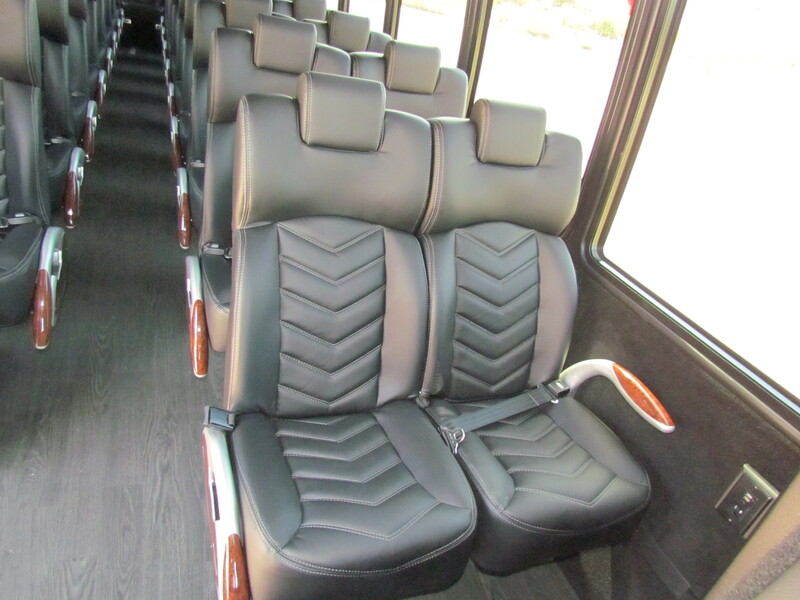 Different seating configurations, styles, and designs available! 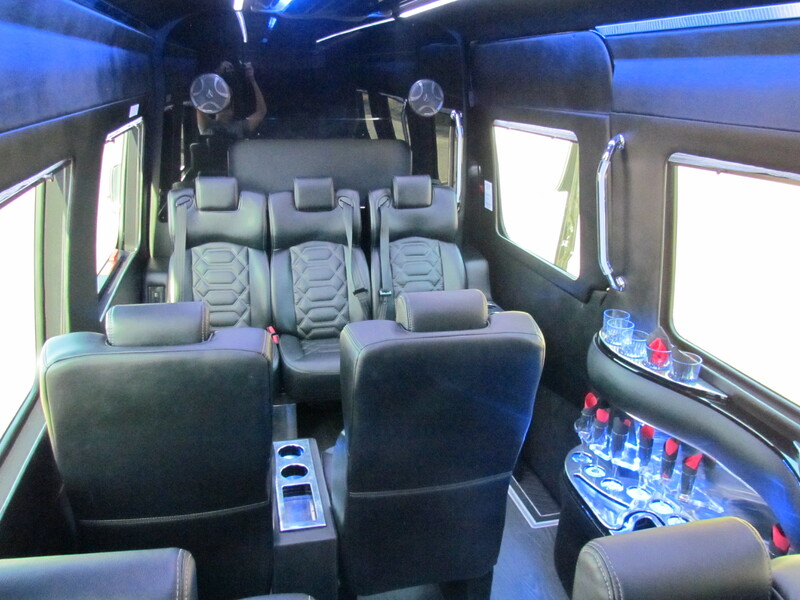 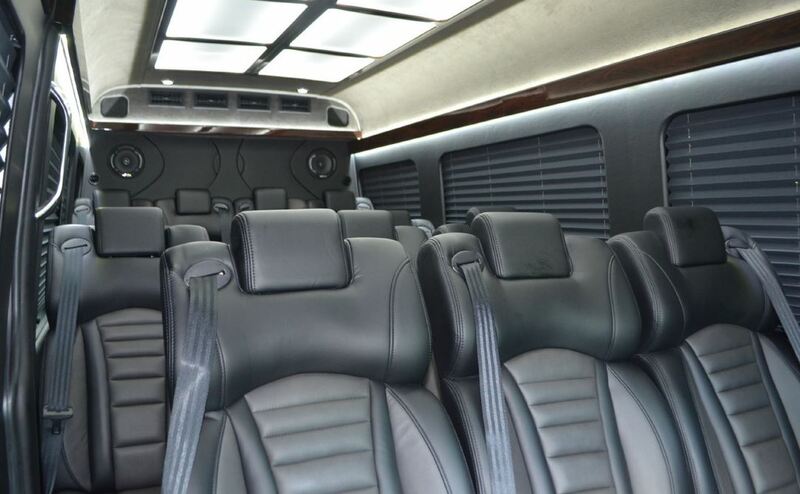 This Mercedes Sprinter is a combination between high end luxury travel and the limousine experience. 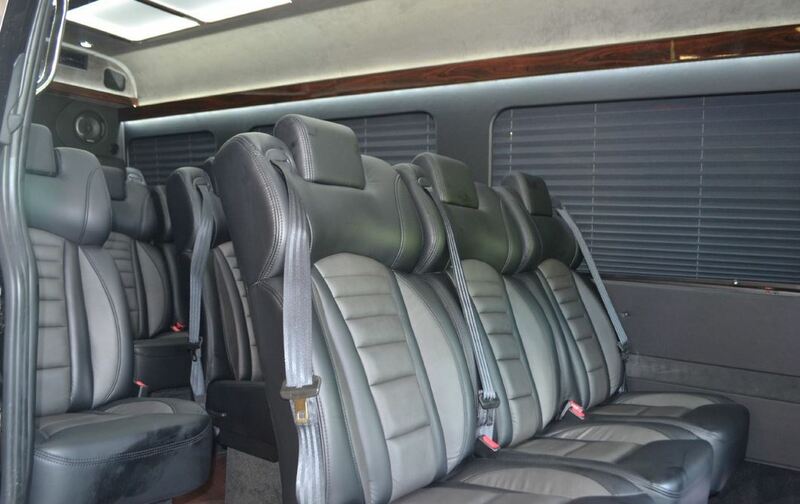 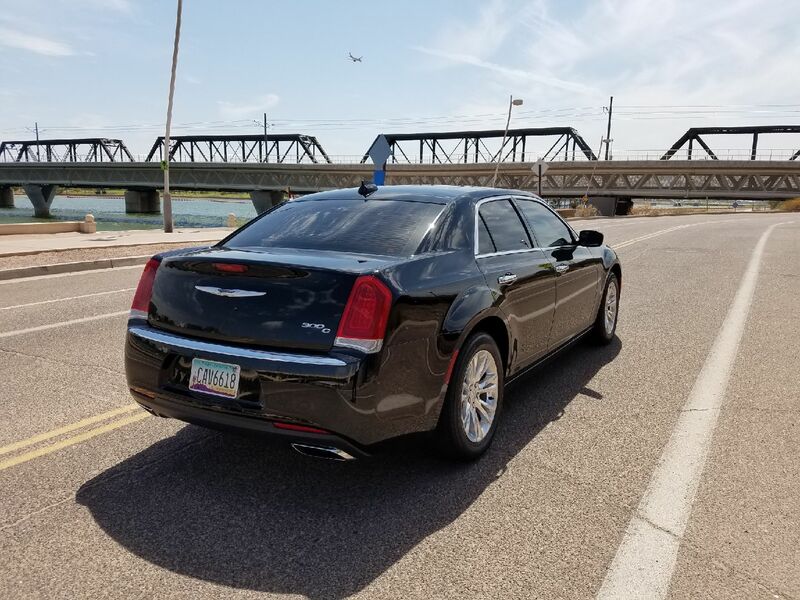 This vehicle has 12 high back leather reclining captain chairs, wood floors, two flat screen LED TV’s, DVD, iPod, upgraded sound with sub woofer, limousine divider from the driver, LED and mood lighting, full bar, privacy pleaded shades, and so much more. 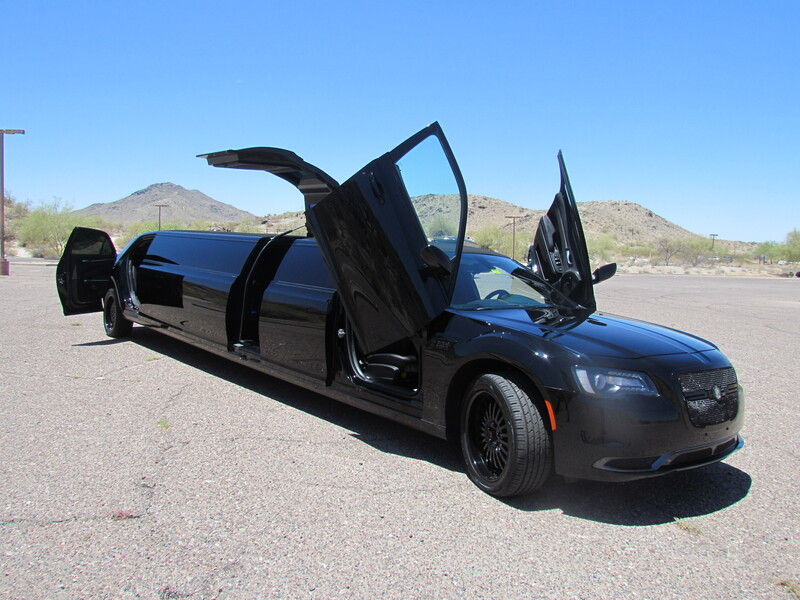 This is a one of a kind custom vehicle and the only one in Arizona. 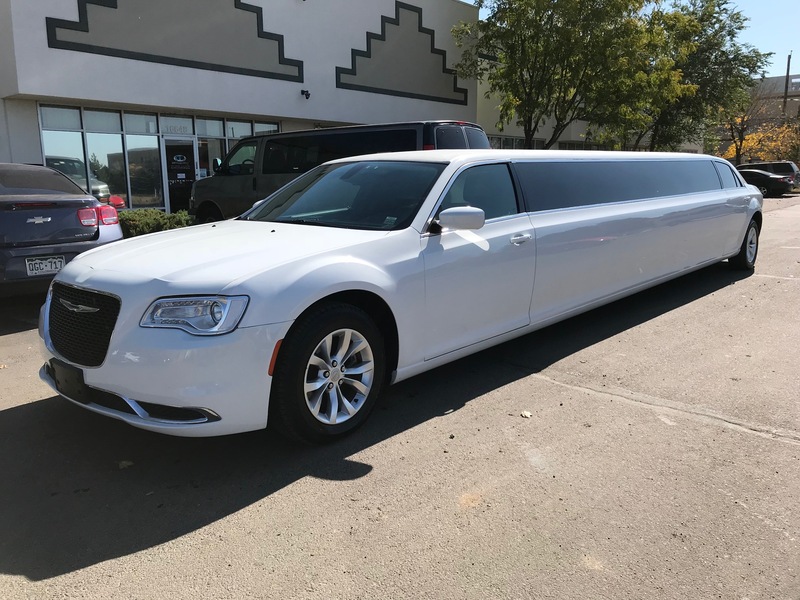 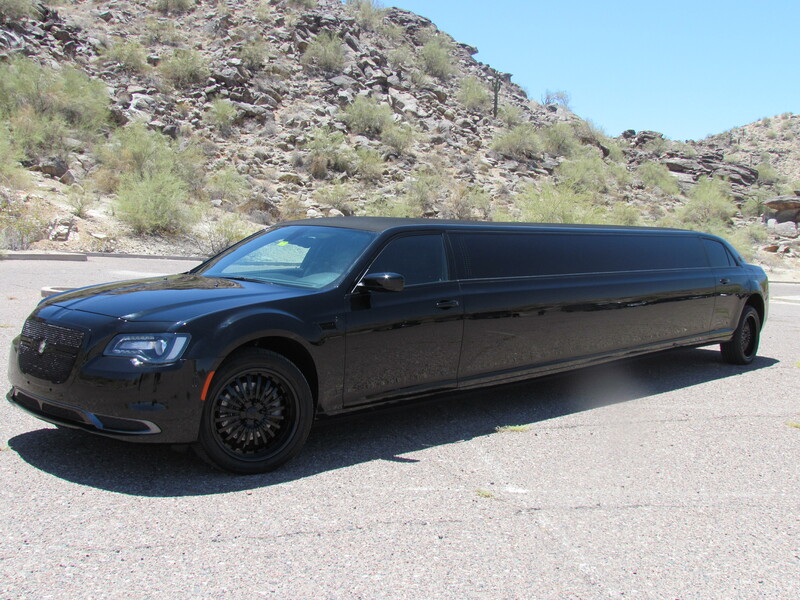 Our white Chrysler 300 Limousine is gorgeous inside and out. 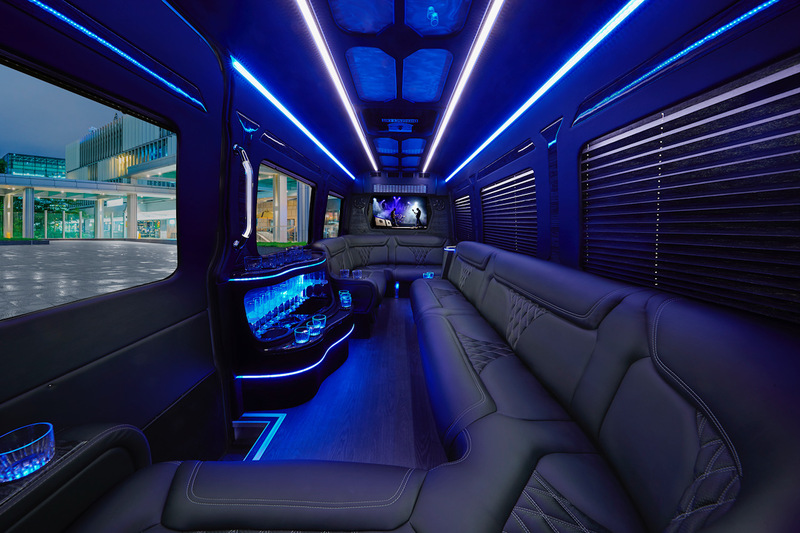 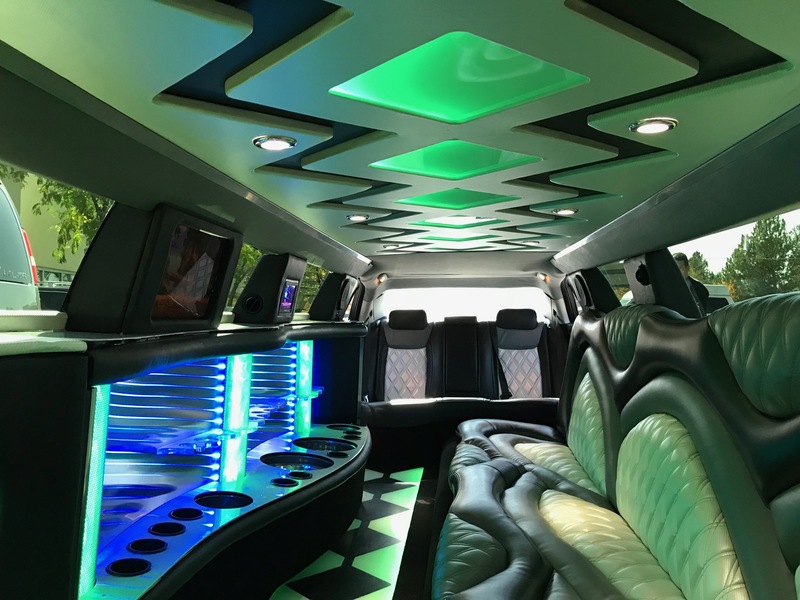 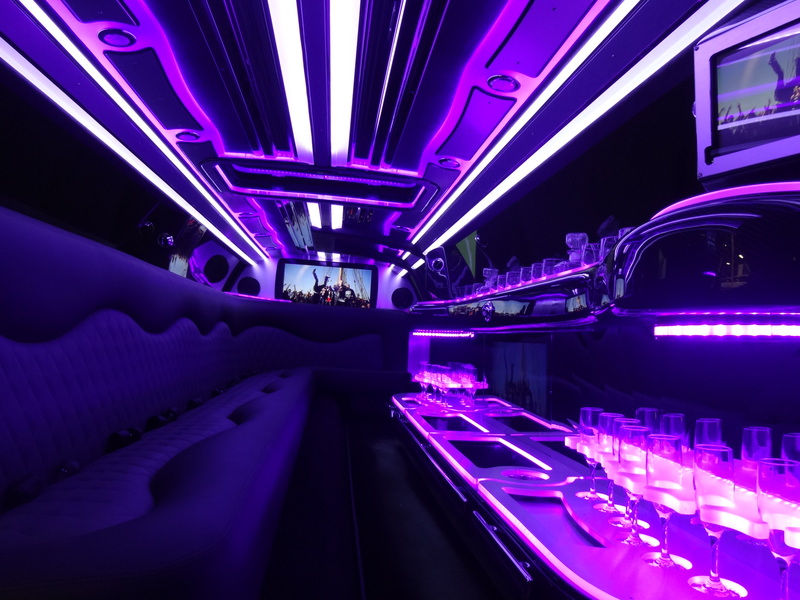 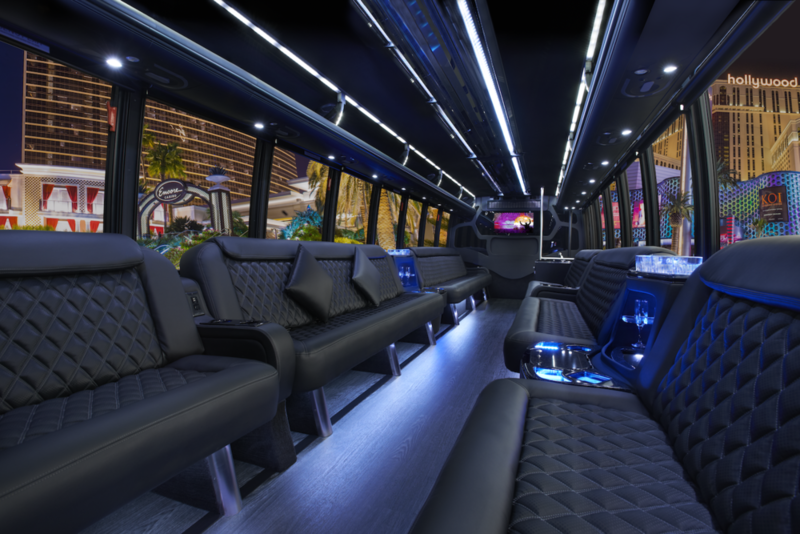 The interior features custom LED color wash accents, LED dance floor, mirrored bars, three tone custom leather interior, flat screen monitors, iPod, high end sound system, upgraded climate system, and more. 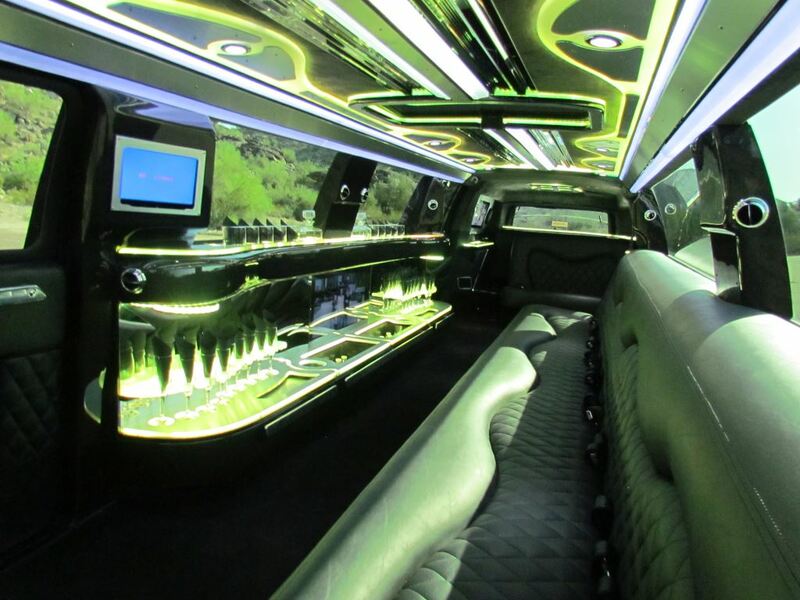 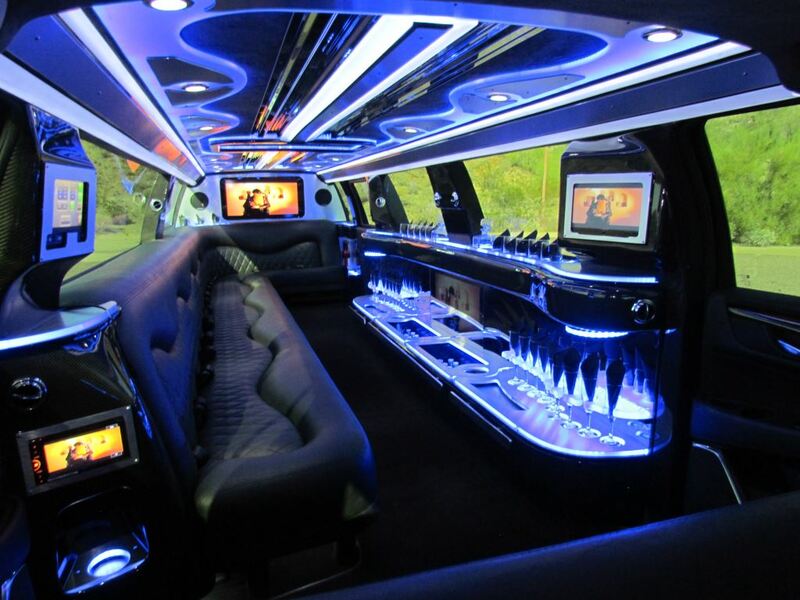 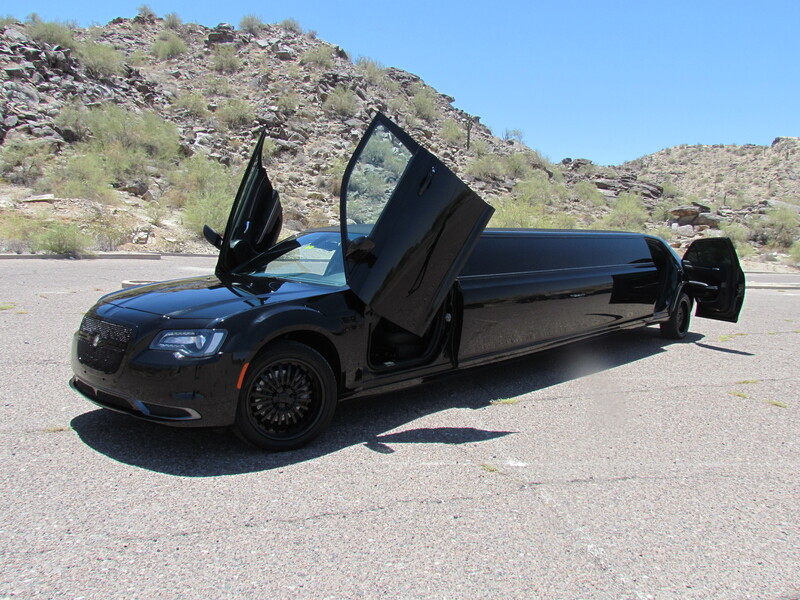 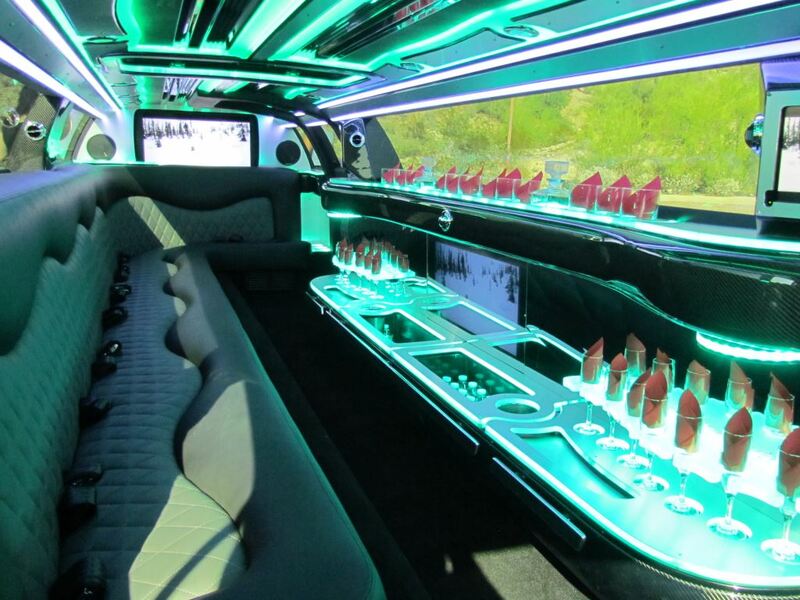 We are excited to offer the worlds most exotic custom stretch limousine! 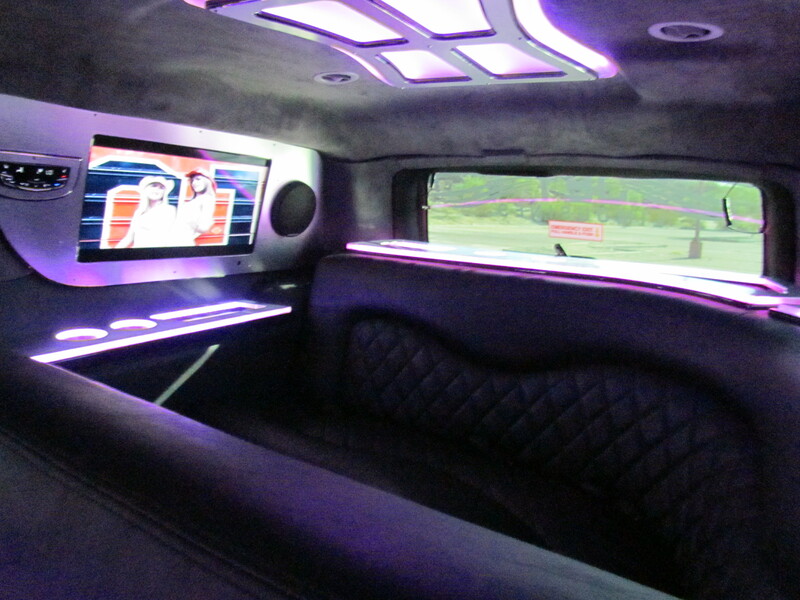 This fully customized Lexani edition 300 features front lambo doors, center JET door, suicide rear doors, complete blackout package with custom grill and side accents, black custom wheels, double stitched leather interior, stainless steel bar and ceiling, carbon fiber accents, LED color wash ceiling and light show, six flat screen monitors, DVD, ipod, full bar, upgraded a/c, massive sound system, and more! 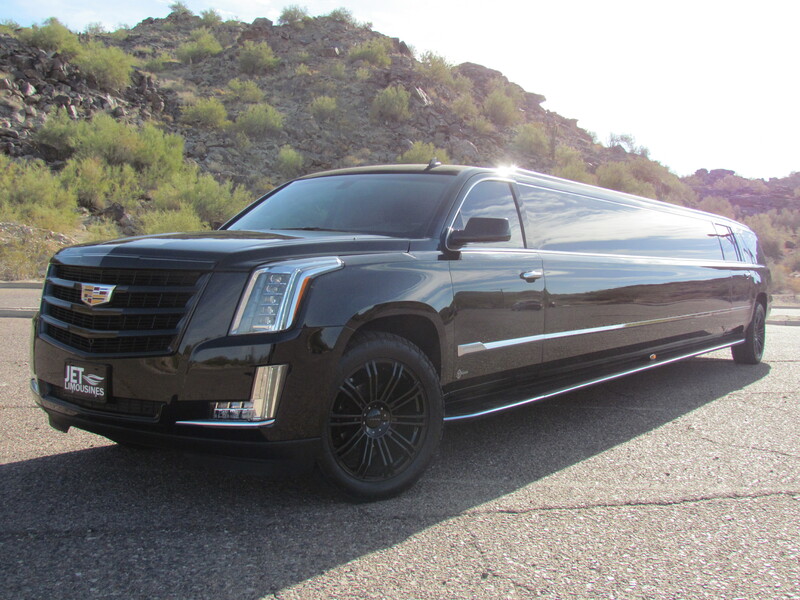 This is the only new body style Escalade stretch in town! 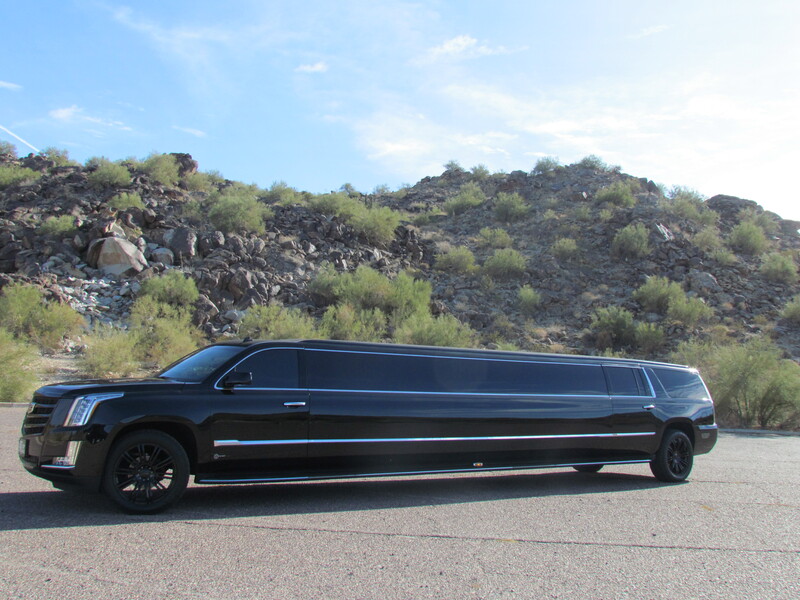 This massive vehicle has a sleek black exterior, 22″ custom black wheels, black canvas mow-hawk top, and fifth door for easier access to the vehicle. 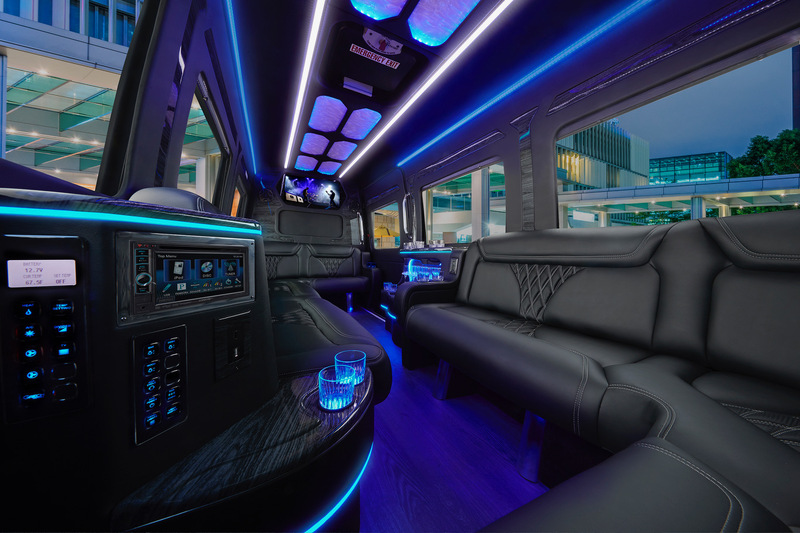 The interior features a unique leather J seat, VIP section, six flat screen TV’s, DVD, iPod hookup, carbon fiber bar with ghost TV behind the glass, suede headliner, LED light show, privacy divider, and much more! 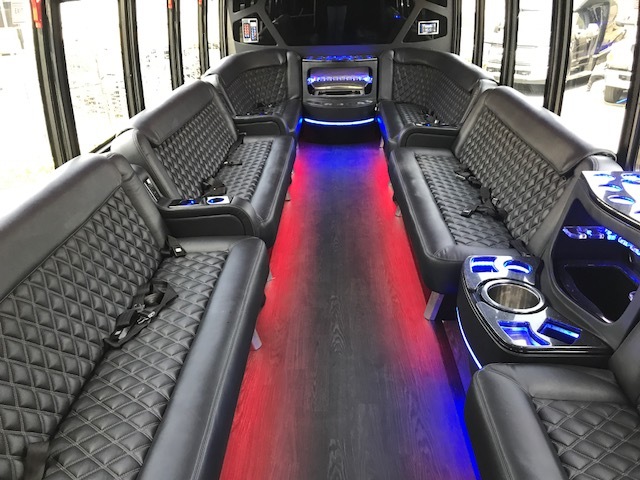 Our brand new 2019 Sprinter Limousine is one of the most luxurious vehicles our industry has to offer. 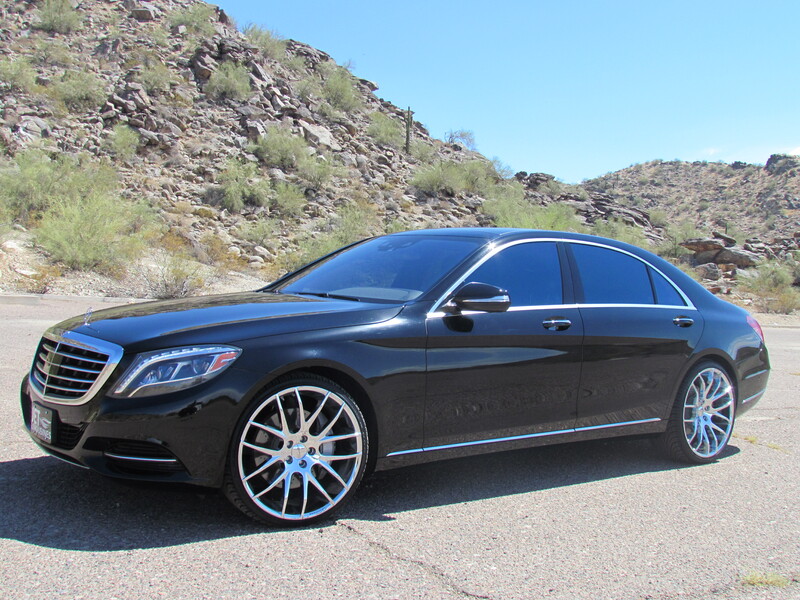 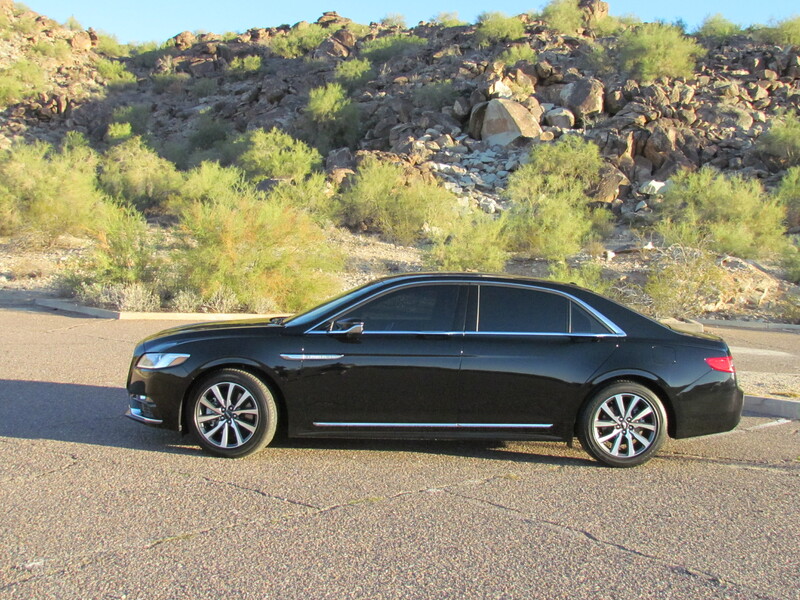 The exterior is complimented with custom black body kit, chrome wheels, and power entry step. 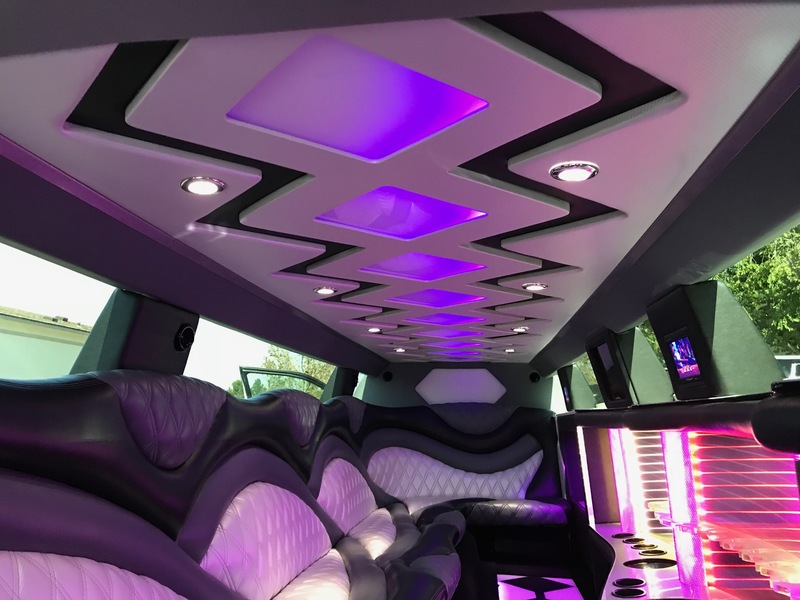 The interior has custom wrap around leather club seating, wood floors, massive sound system, flat screen TV’s, DVD, iPod, color change ceiling, full bar, outlets, privacy shades, power divider, and so much more! 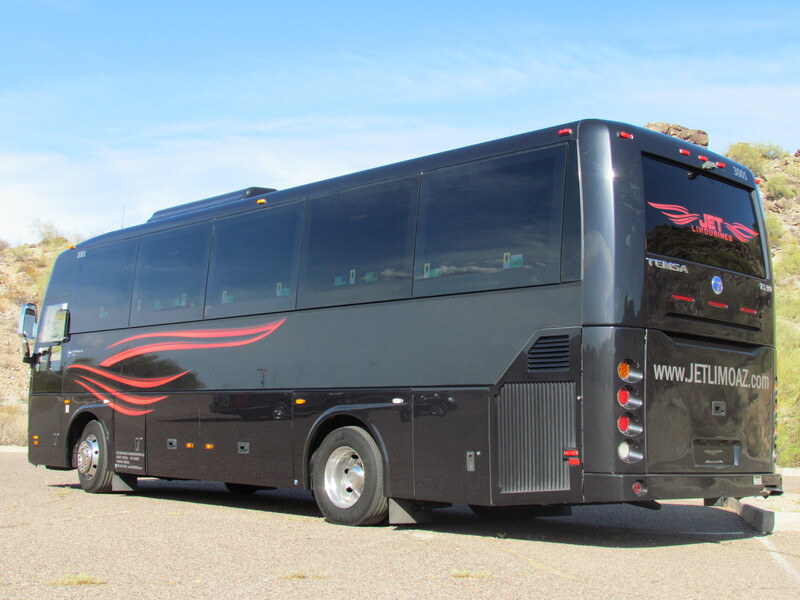 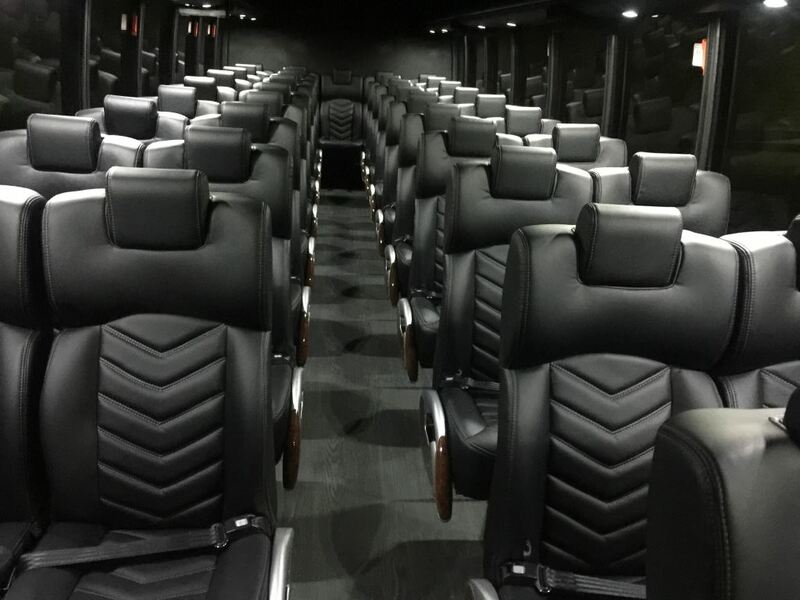 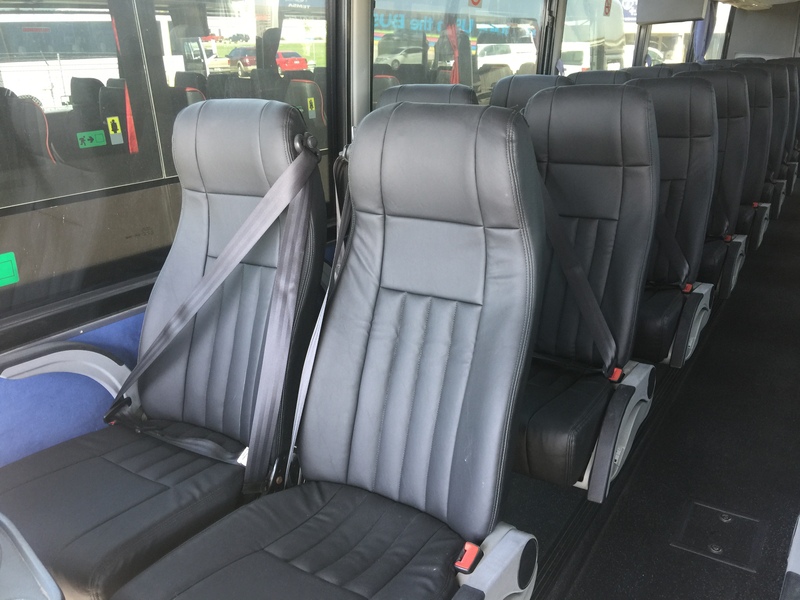 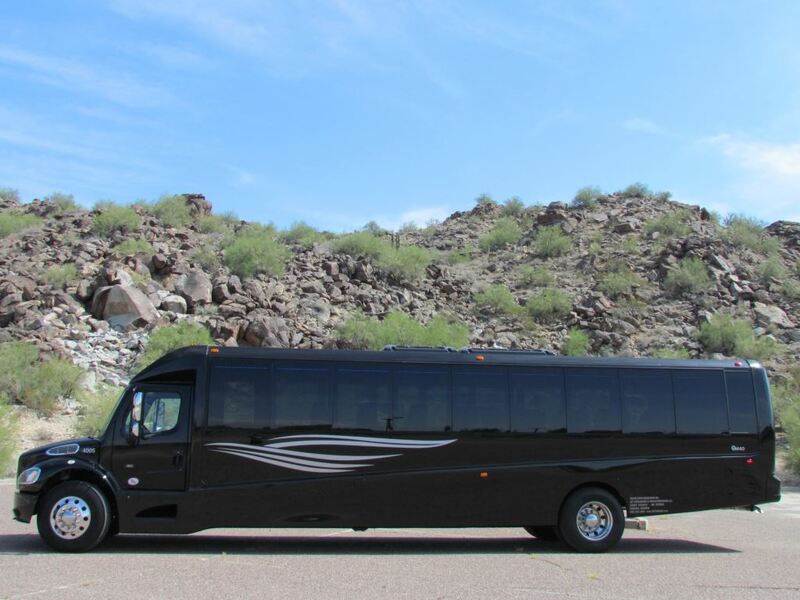 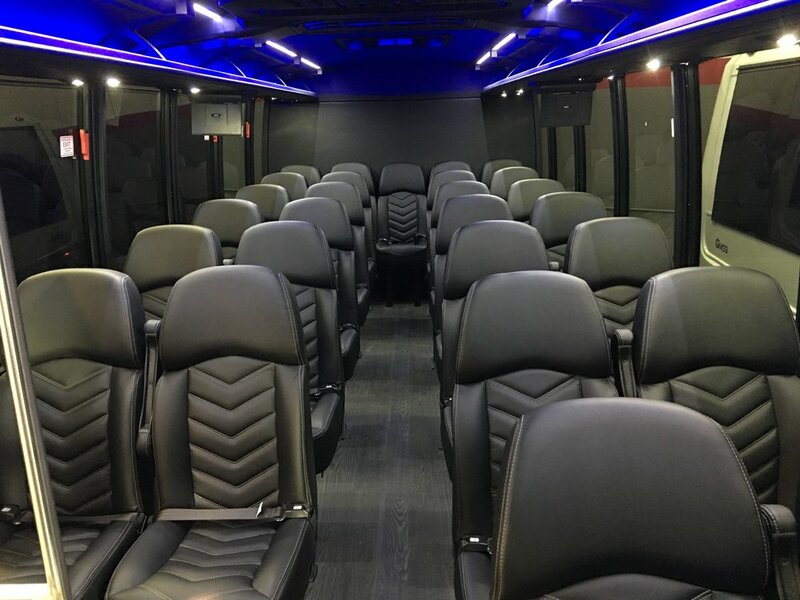 The 27 passenger mini coach features a sleek black exterior, high back leather reclining seats, wood floors, privacy shades, outlets and USB ports ate every seat, overhead luggage racks with reading lights, flat screen TV’s, DVD, PA system, rear luggage, and more. 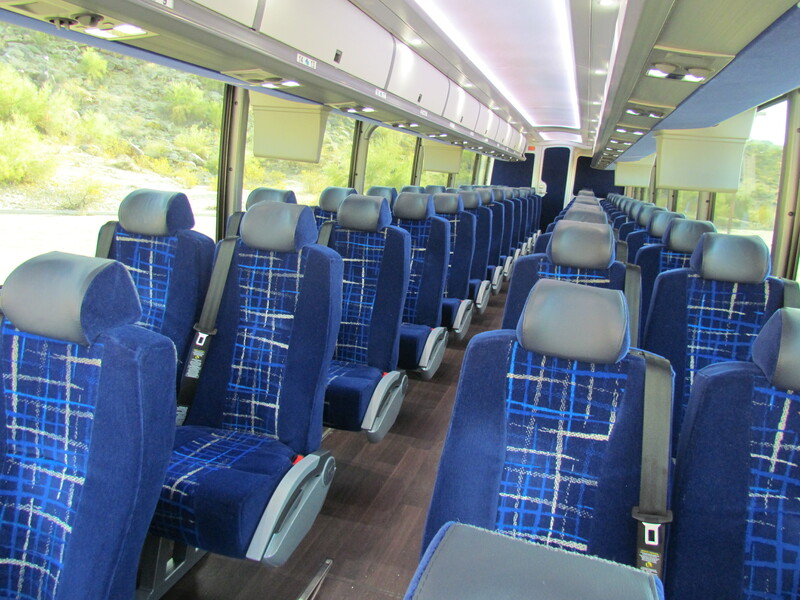 The 30 passenger motor coach is a smaller version of our full size coaches. 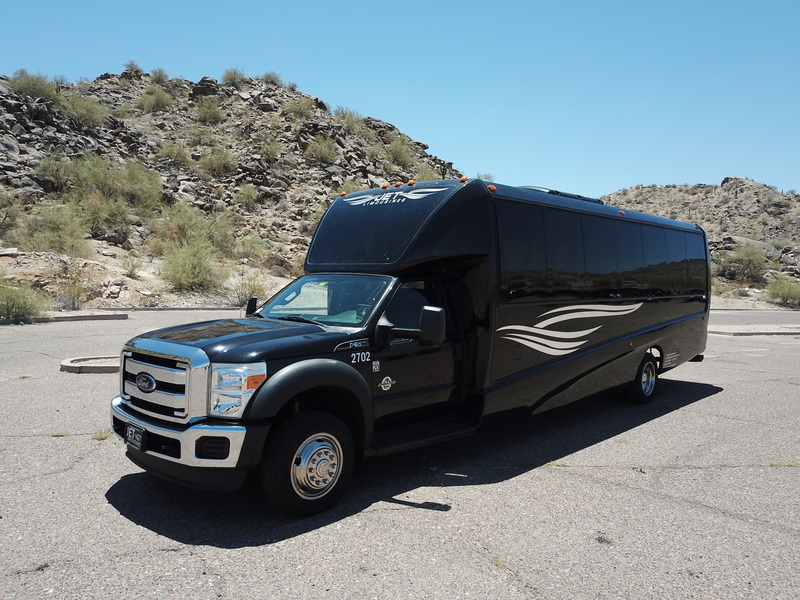 It has a custom black and red leather interior, seatbelts, wood floors, oversized flat screen monitors, DVD, iPod hookup, LED lighting, PA system, lavatory, under bay luggage area, and more. 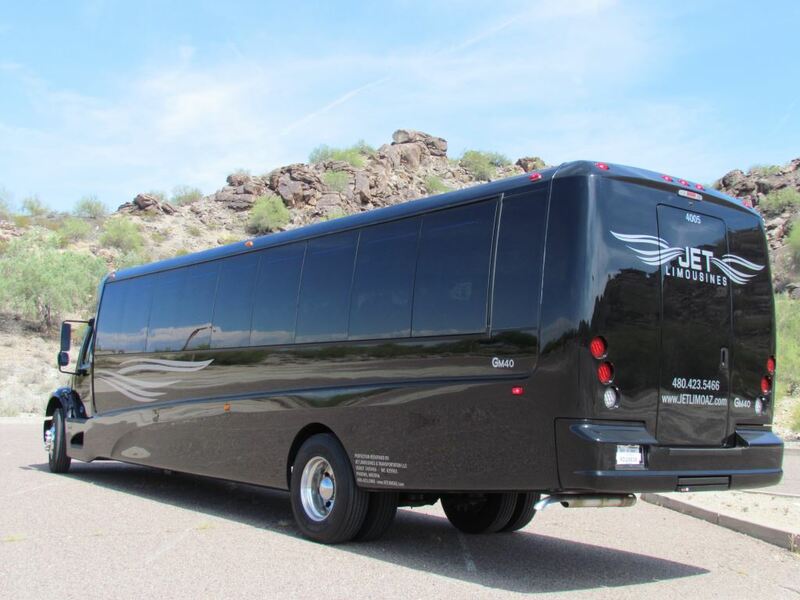 This coach is great for out of town trips. 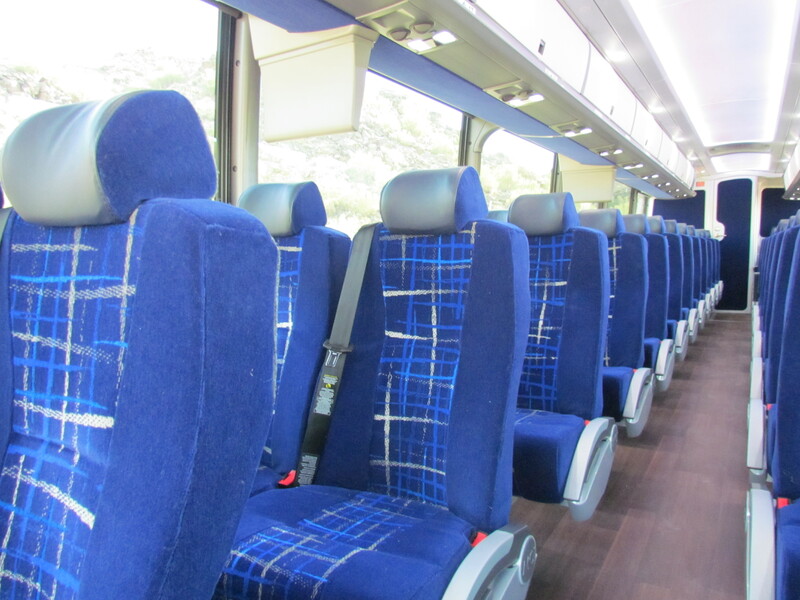 Our 40 passenger mini coaches are unlike any other bus in town. 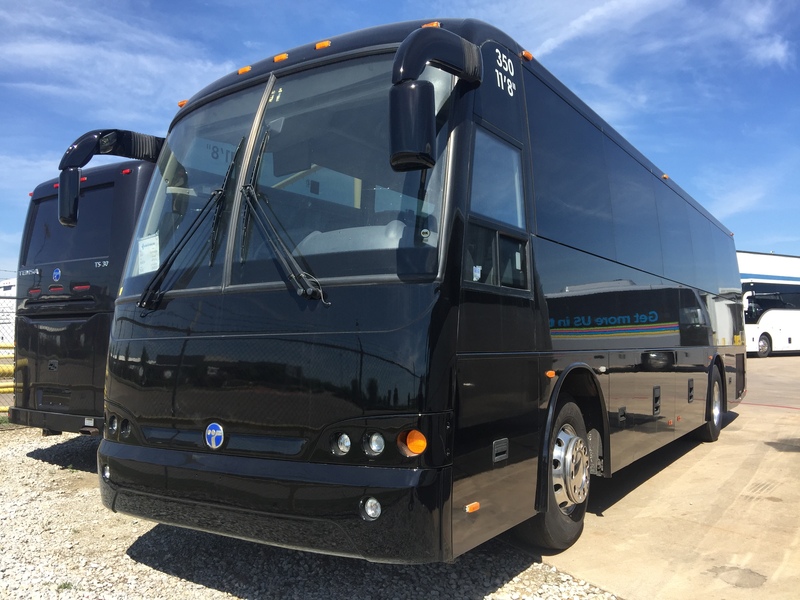 A sleek black exterior is complimented by seamless large touring windows, chrome Alcoa wheels, and a custom front touring window. 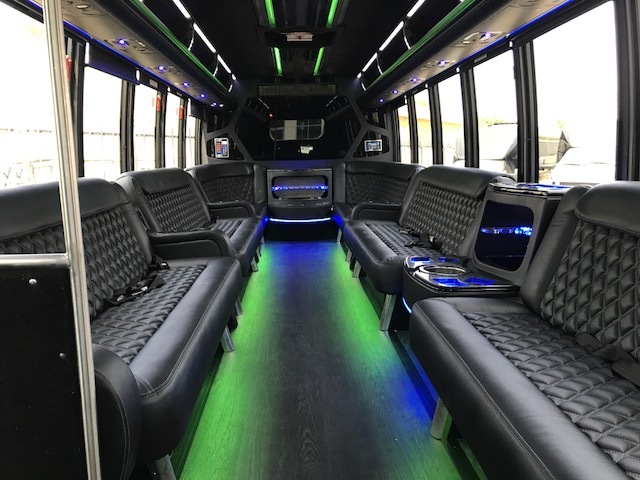 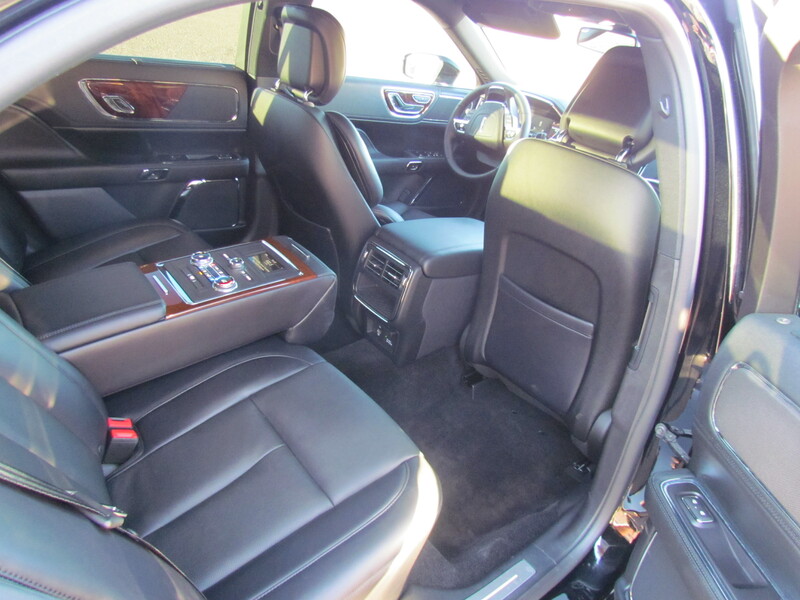 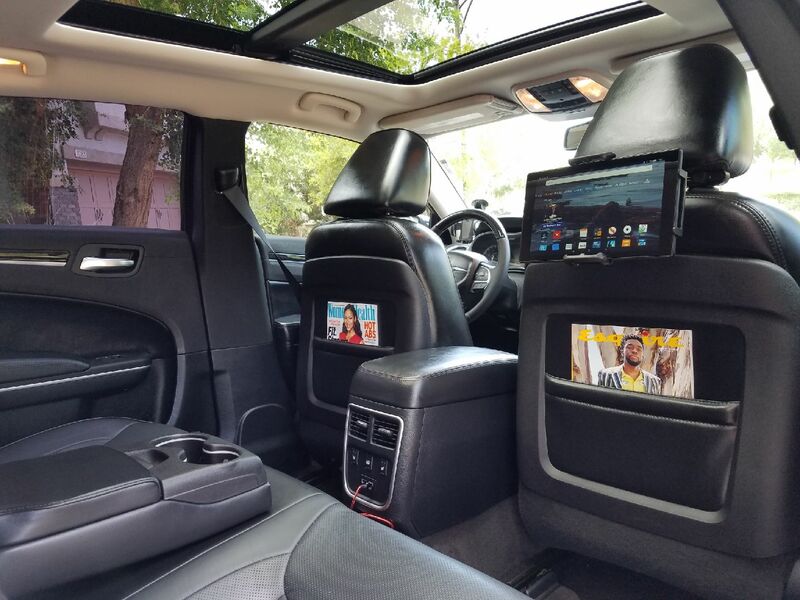 The interior features custom high back leather seats, seat belts, 110 and USB ports at every seat, wood floors, flat screen monitors, DVD, iPod, Bluetooth, overhead reading lights, and more. 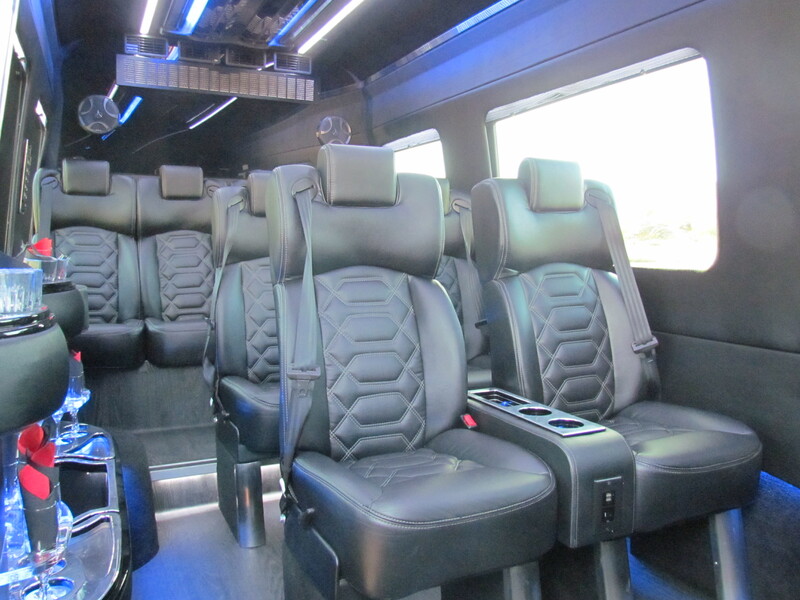 We will be happy to discuss your individual transportation needs and find the perfect vehicle for your event. 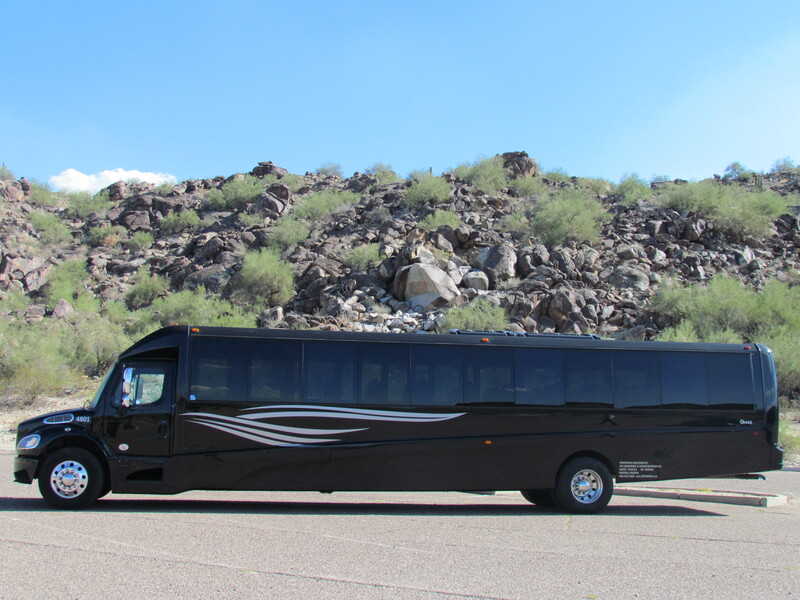 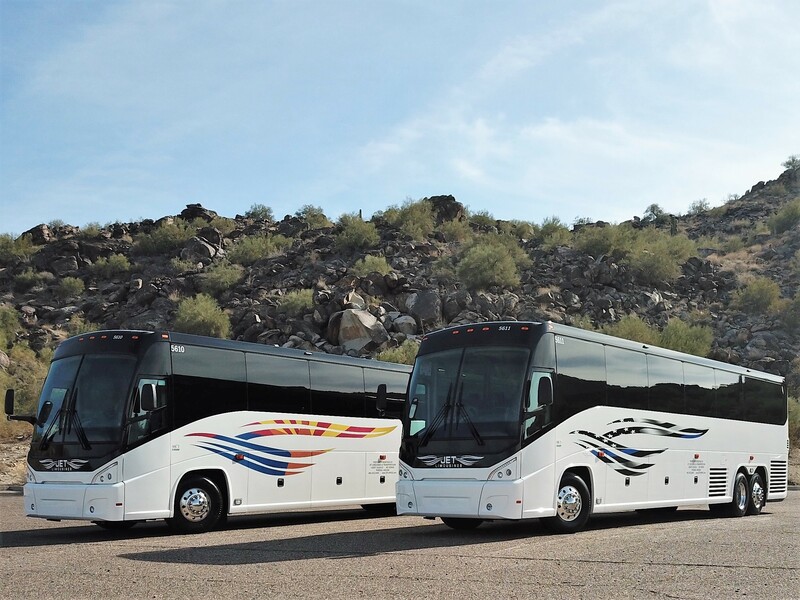 Our 40 passenger motor coaches are a great option for long over the road trips. 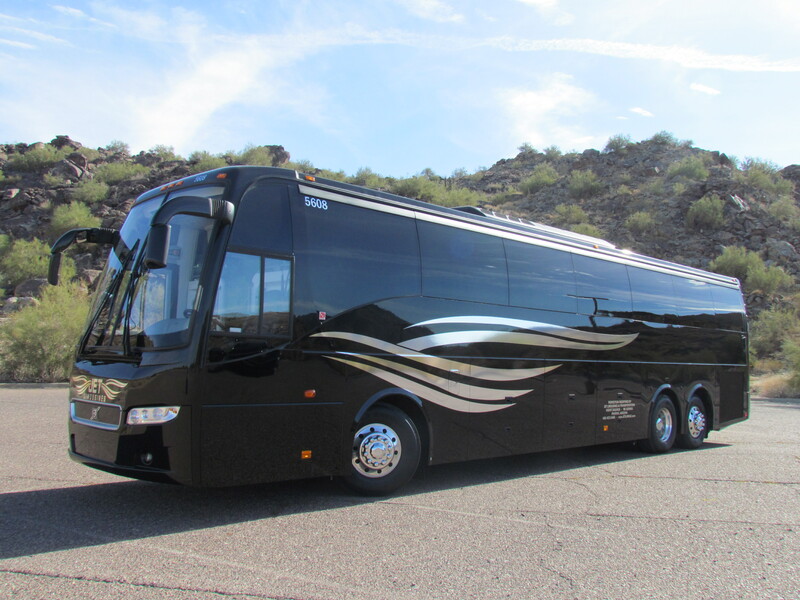 A sleek black exterior is complimented by seamless large touring windows, and the impressive coach like ride. 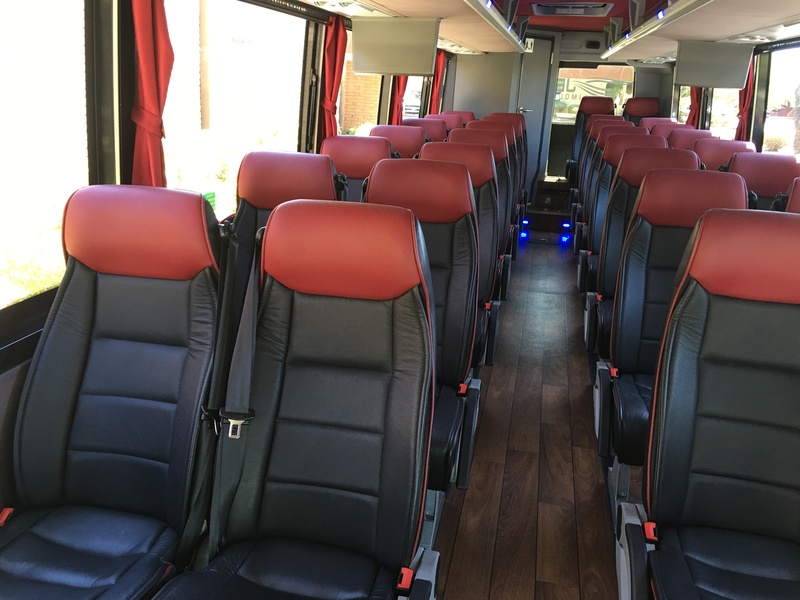 The interior features custom high back leather seats, seat belts, 110 and USB ports at every seat, flat screen monitors, DVD, iPod, Bluetooth, overhead reading lights, lavatory, and more. 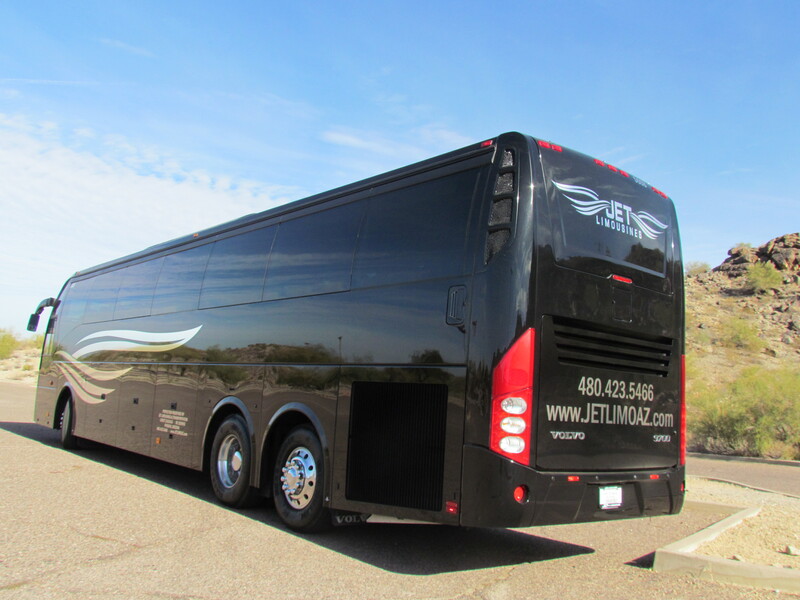 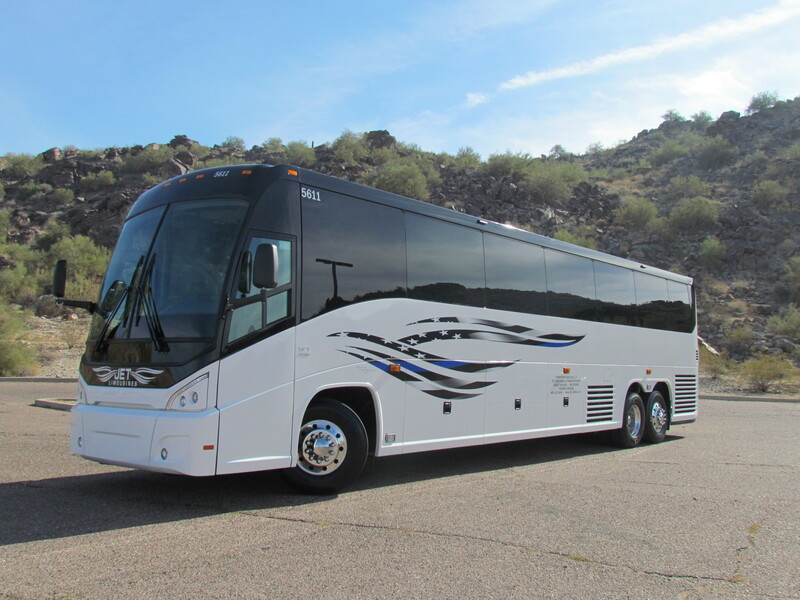 Our 48 passenger mini coach is the largest mid size coach in the valley. 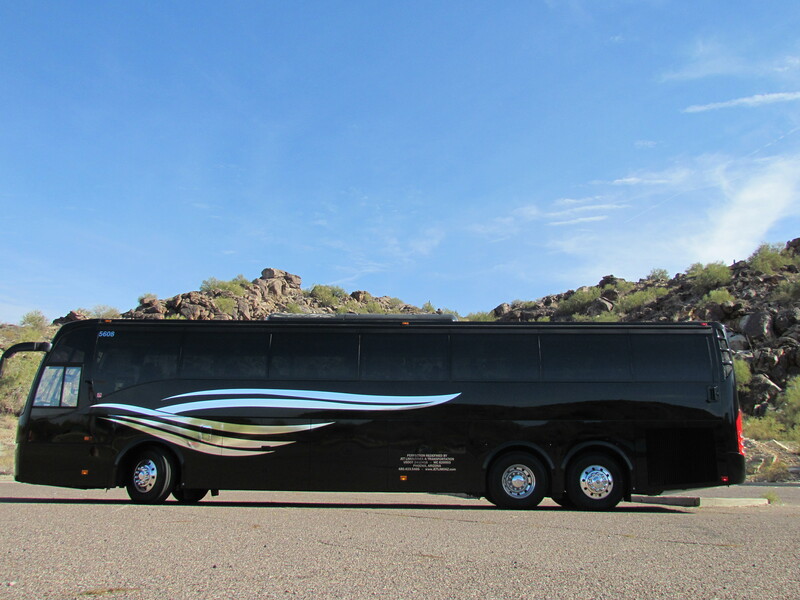 A sleek black exterior is complimented by seamless large touring windows, chrome Alcoa wheels, and a custom front touring window. 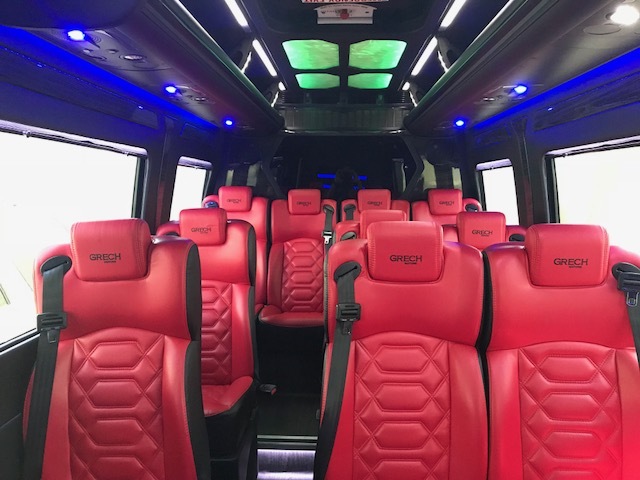 The interior features custom high back leather seats, seat belts, 110 and USB ports at every seat, wood floors, flat screen monitors, DVD, iPod, Bluetooth, overhead reading lights, and more. 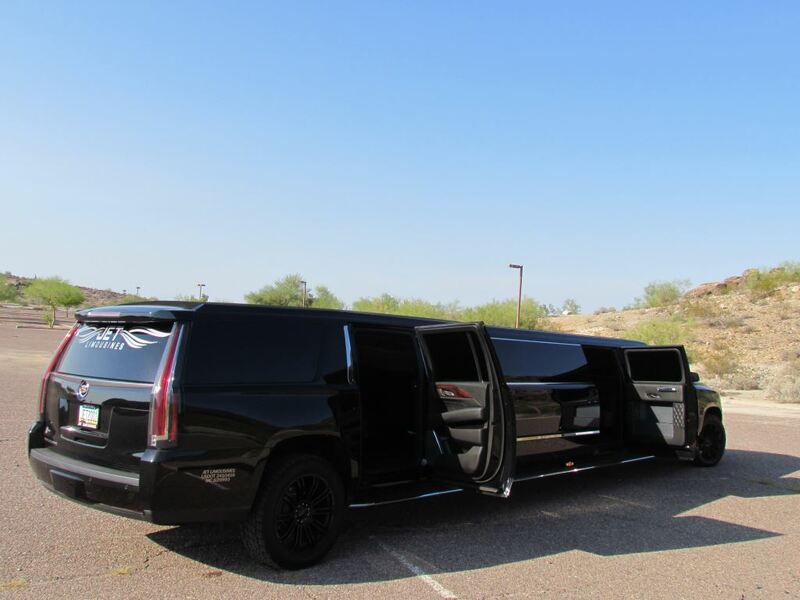 We will be happy to discuss your individual transportation needs and find the perfect vehicle for your event. 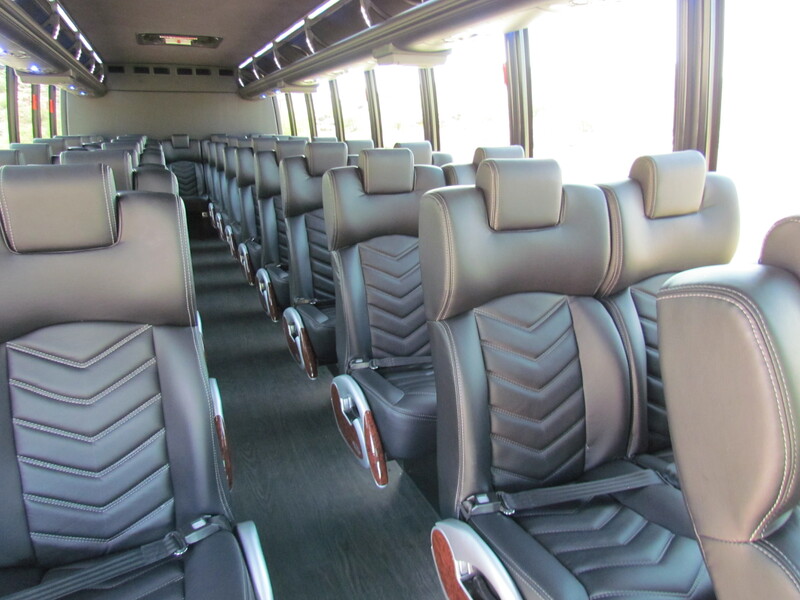 Our 56 Passenger Executive Coach buses provide amenities and luxury that aren’t found on normal coach buses. 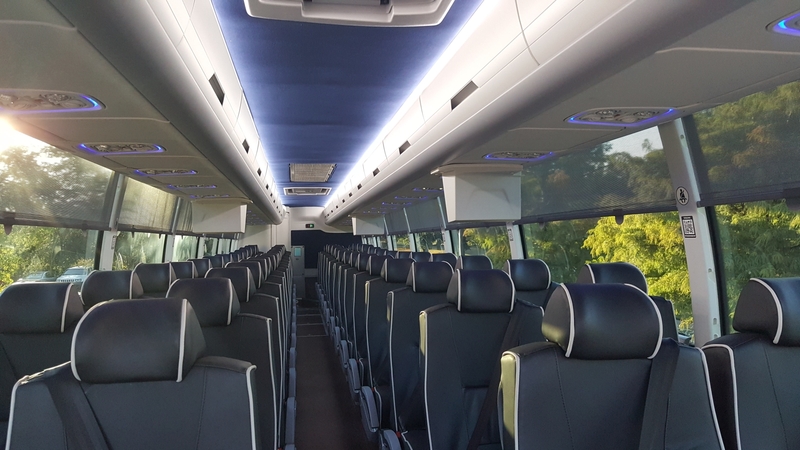 Equipped with interior lighting designs, entertainment systems, seating and plenty of room to move, this is the best choice for large groups. 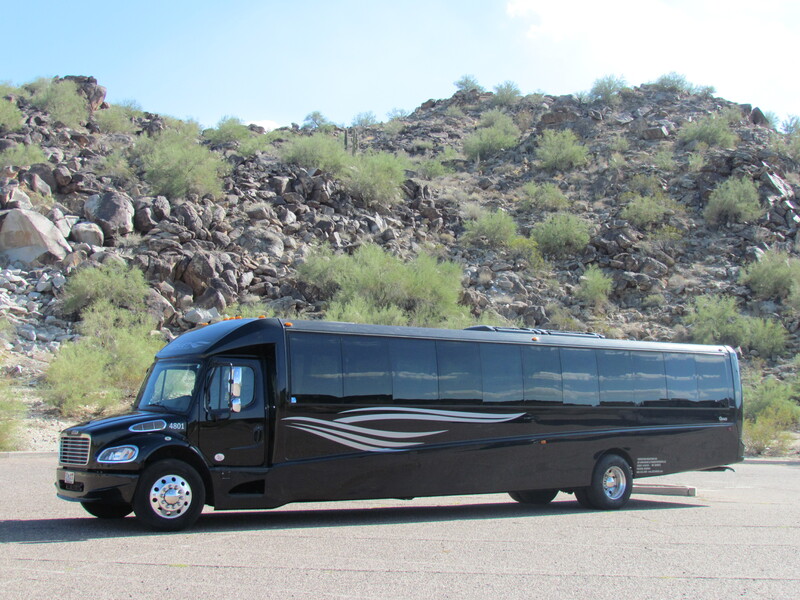 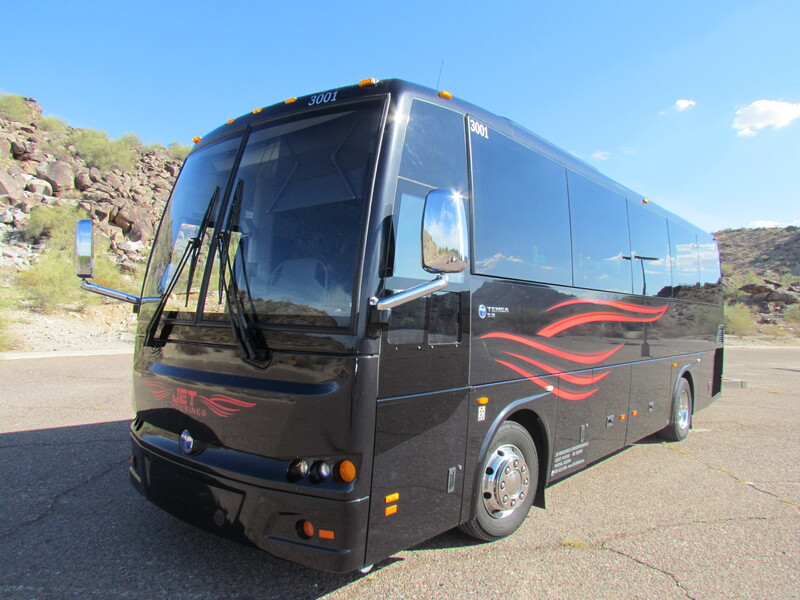 The coaches are perfect for large groups and out of state transportation needs. 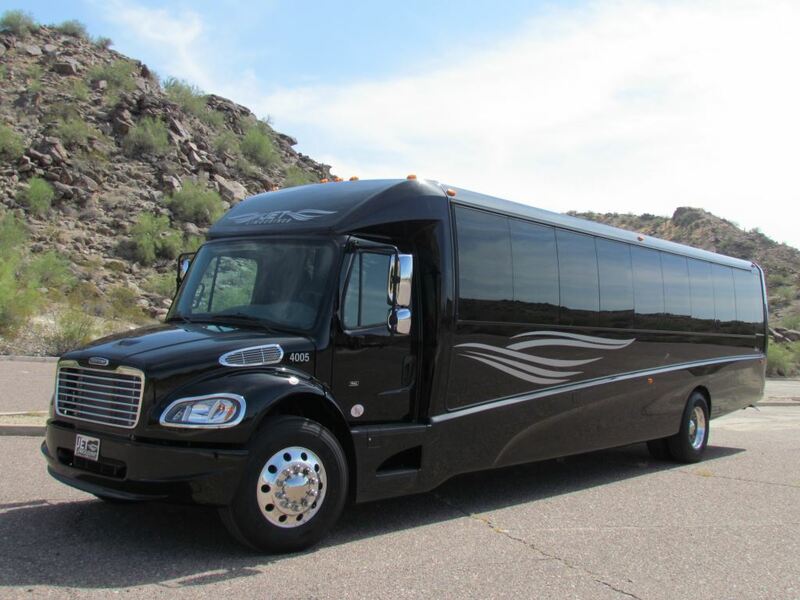 Wheel chair / ADA coaches available. 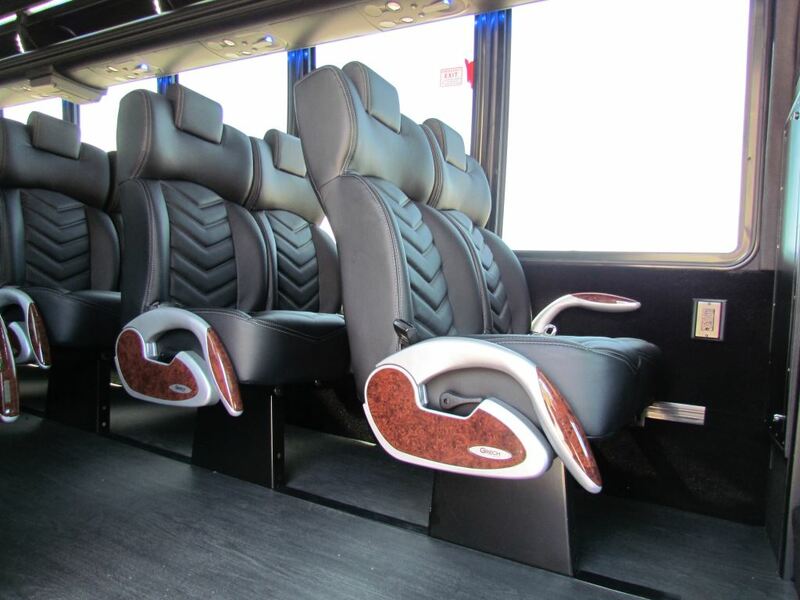 Our 56 Passenger Executive Coach buses provide amenities and luxury that aren’t found on normal coach buses. 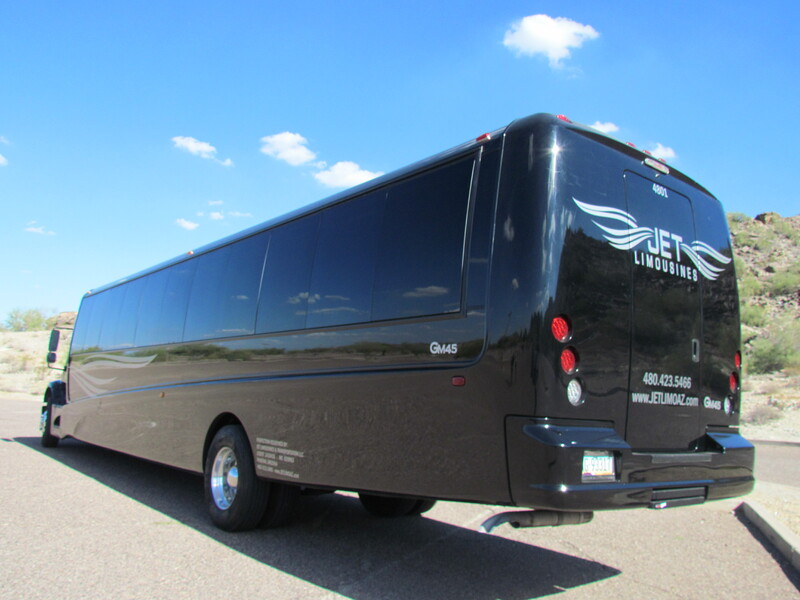 Equipped with interior lighting designs, entertainment systems, seating and plenty of room to move, this is the best choice for large groups. 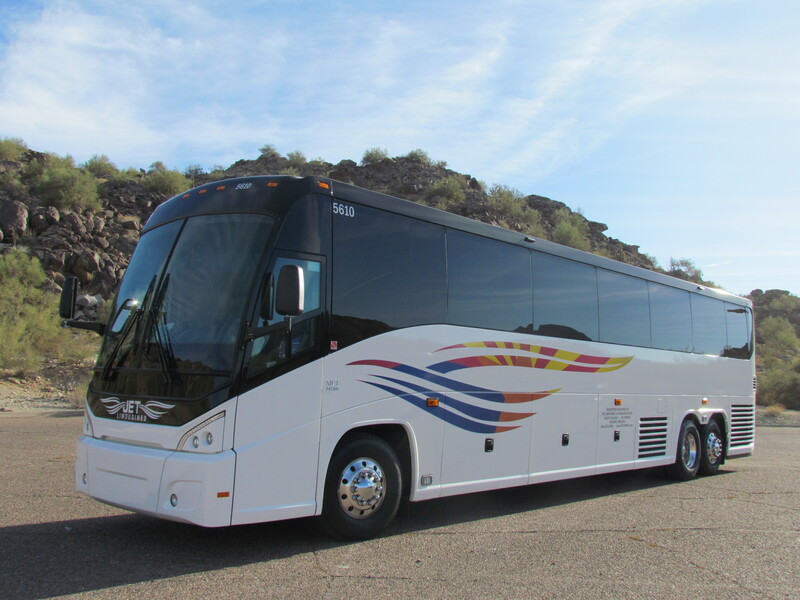 The coaches are perfect for large groups and out of state transportation needs.